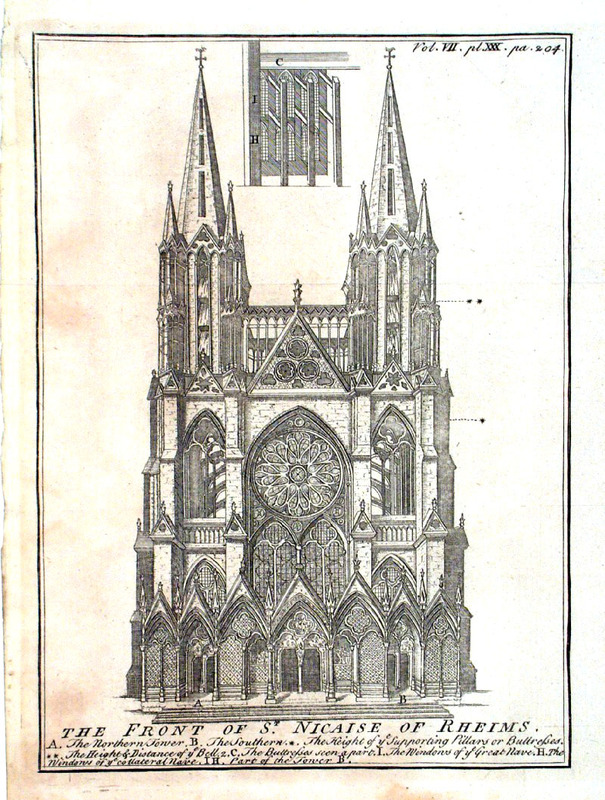 size: 290 x 180 mm, 2 folds, very tight left margin. 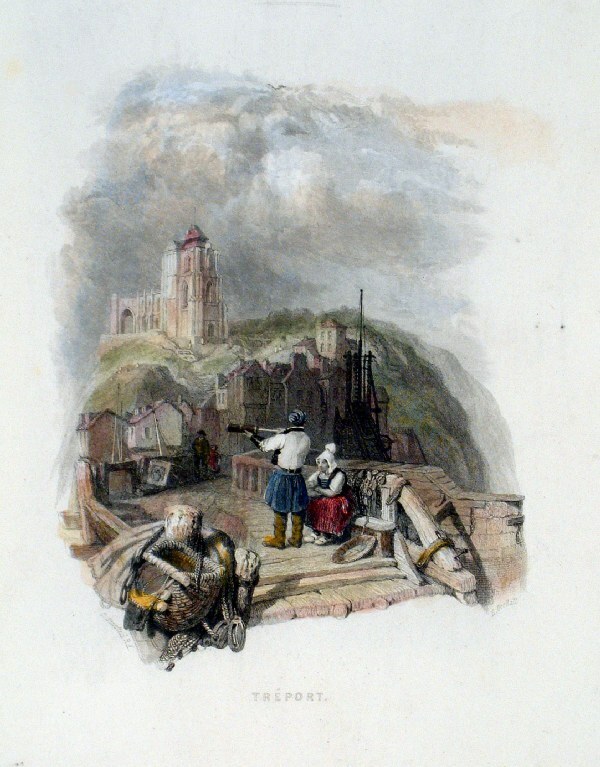 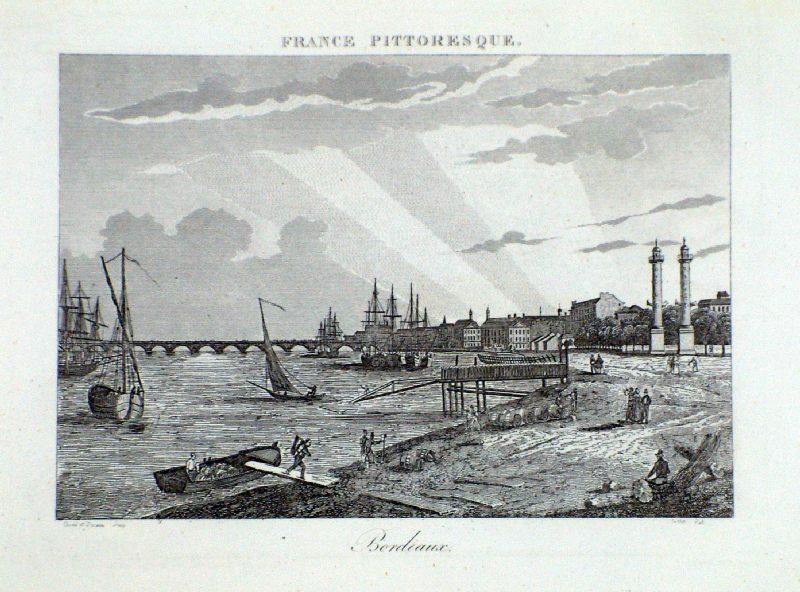 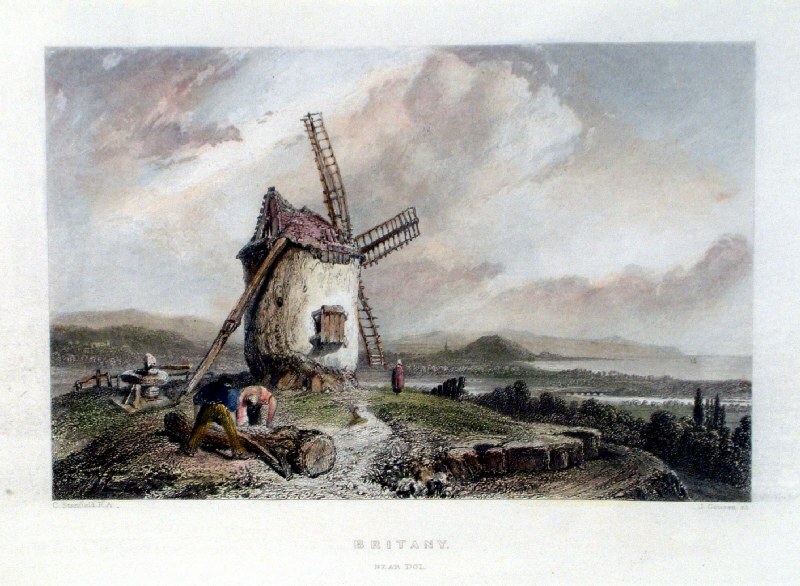 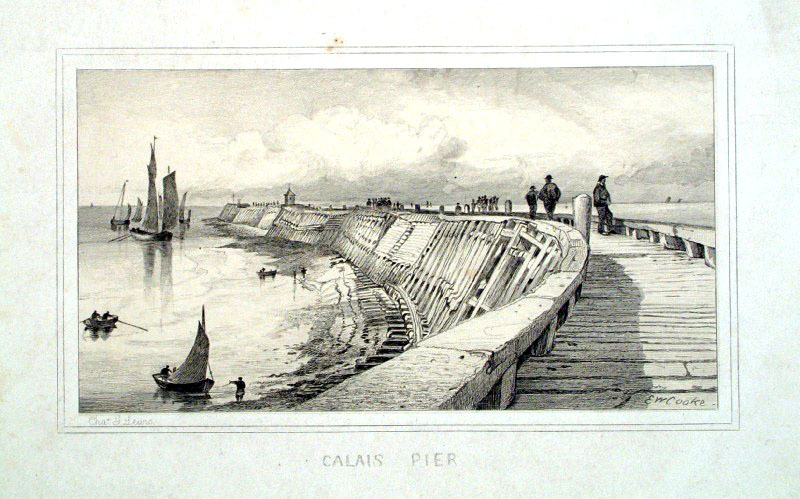 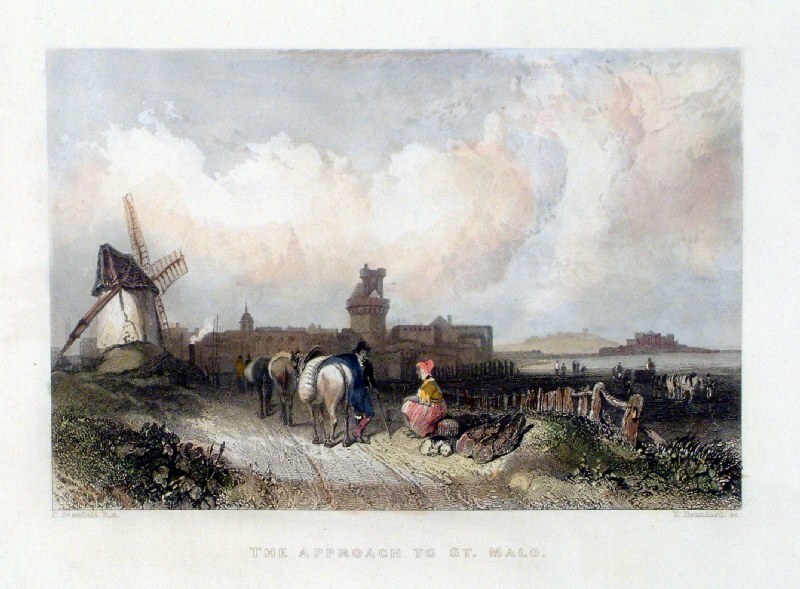 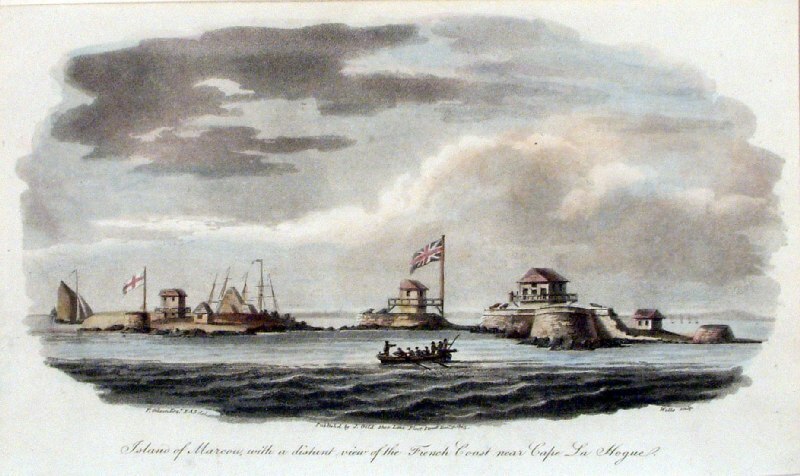 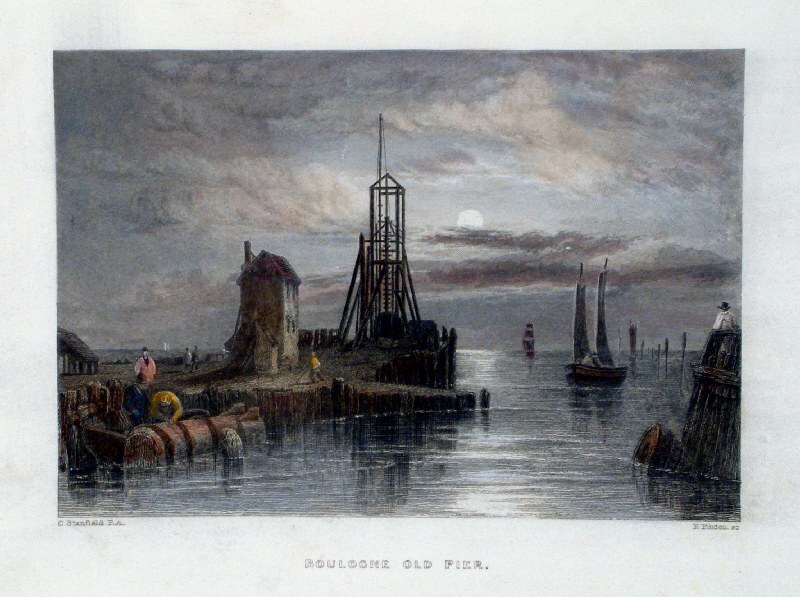 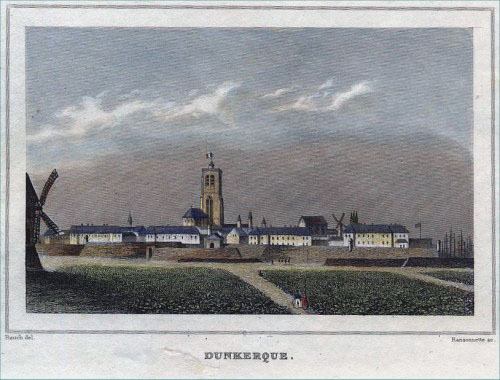 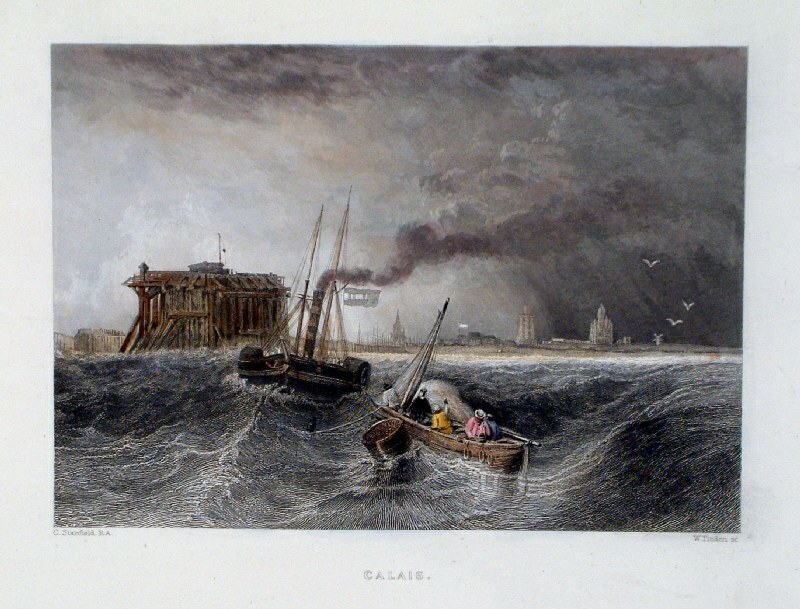 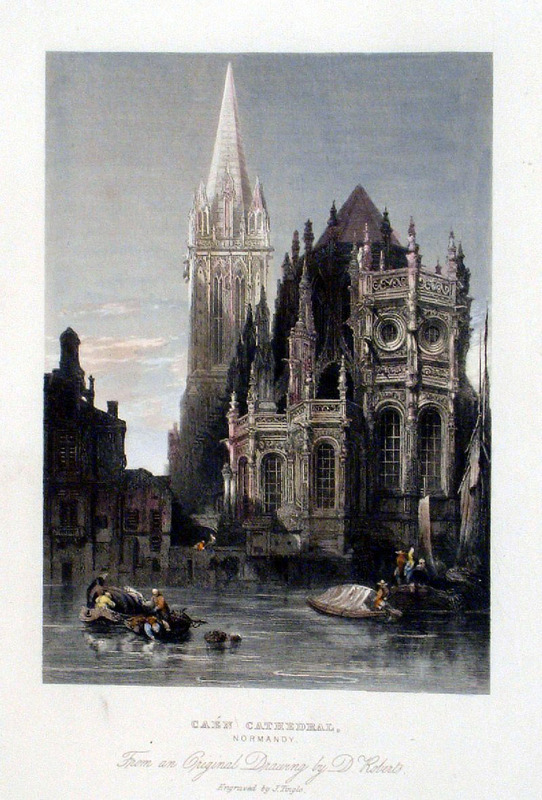 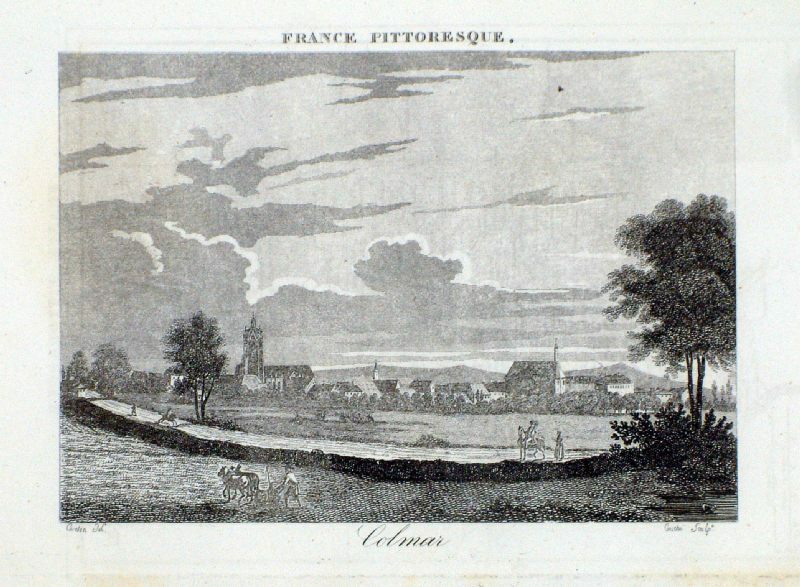 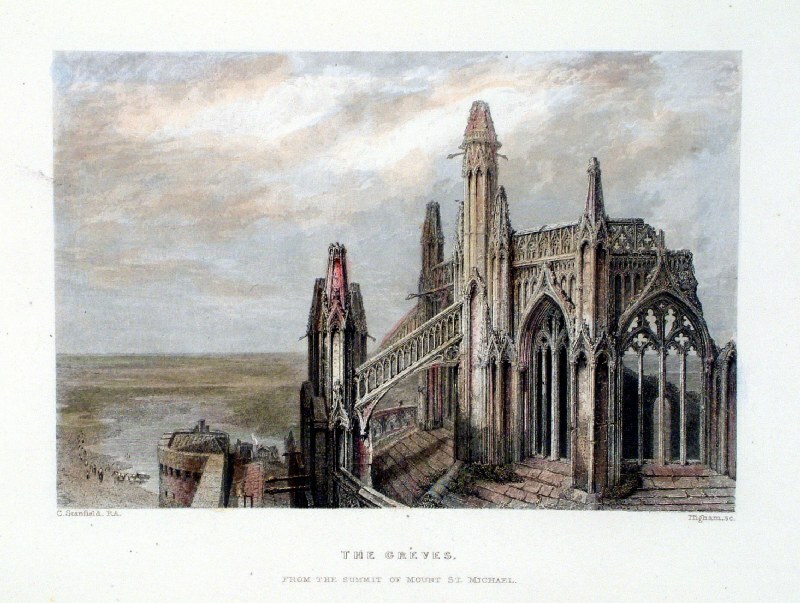 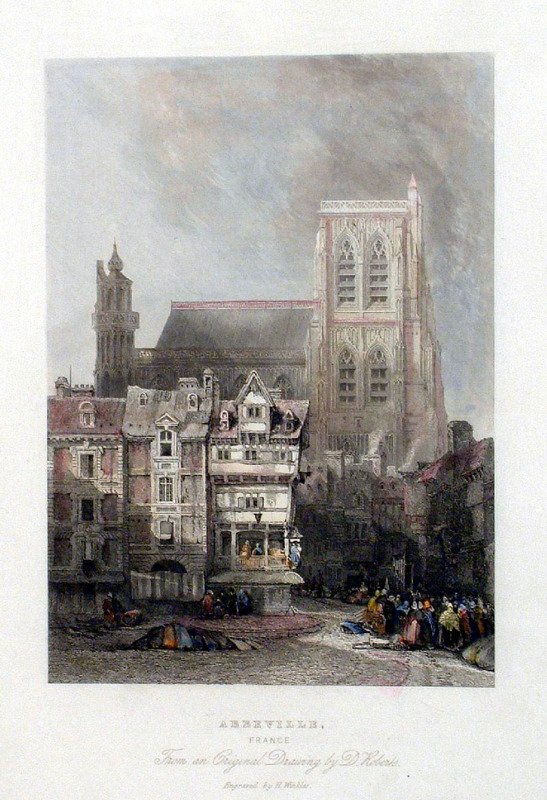 Dunkirk (France) Rauch c1830 Steel Engraving. 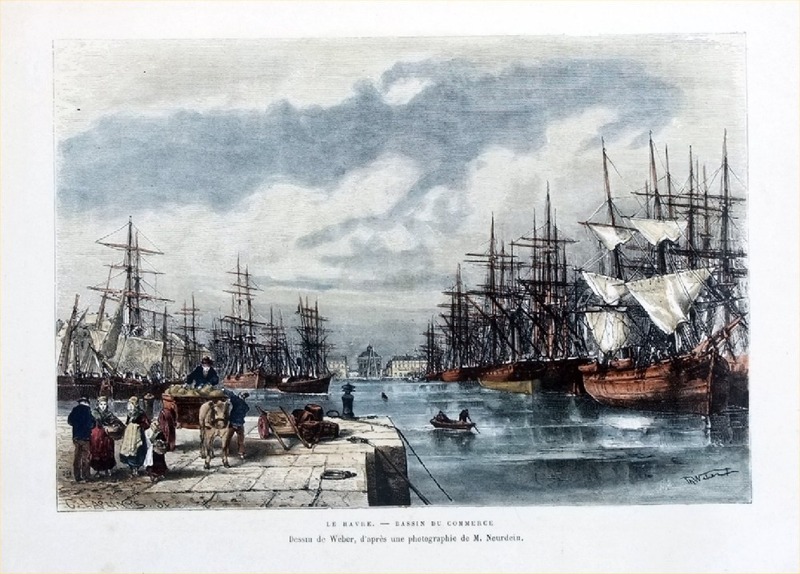 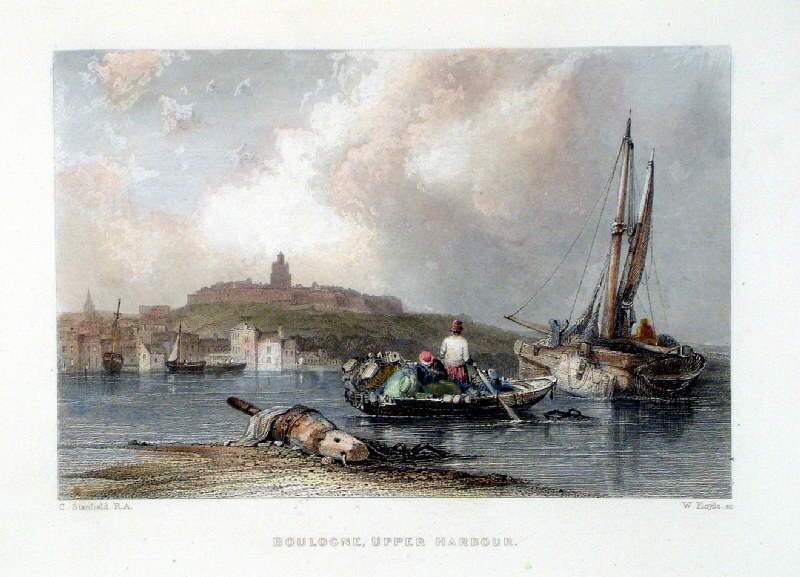 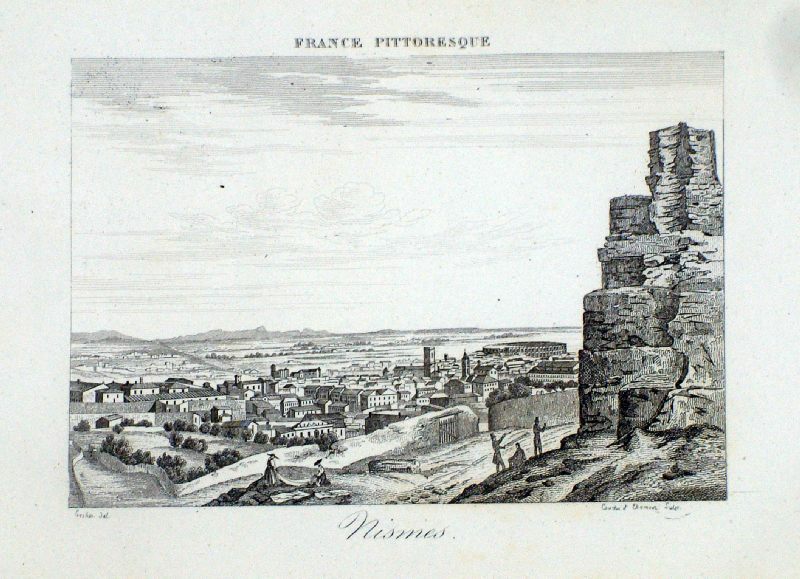 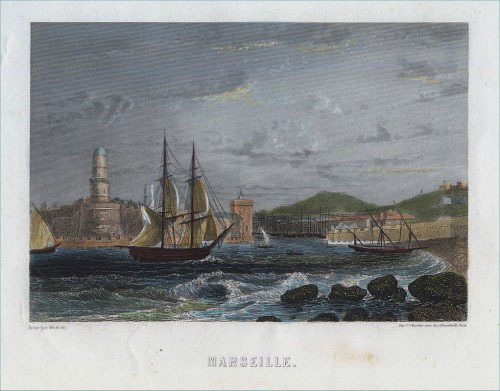 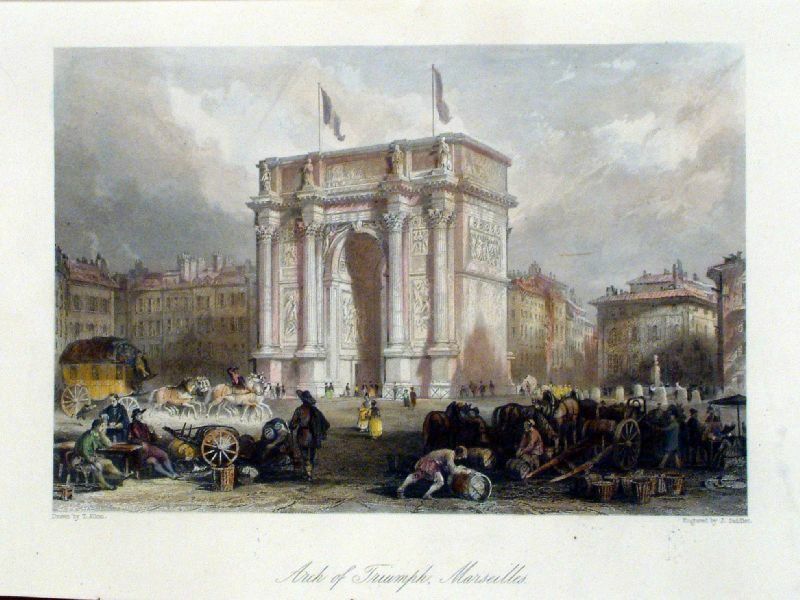 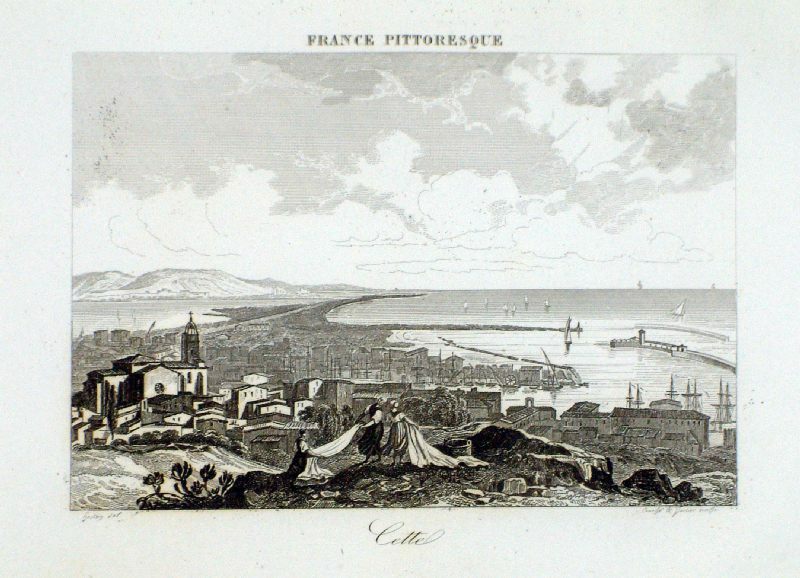 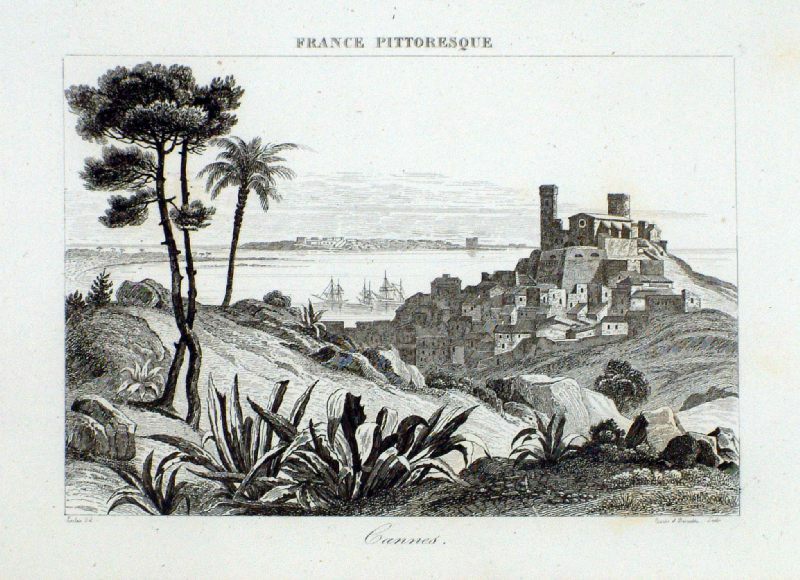 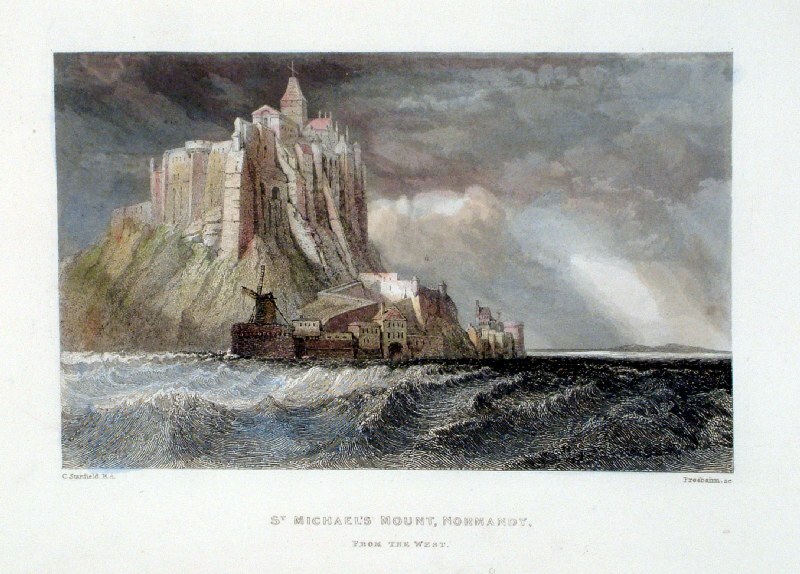 Marseille Ronargue / Furne c1840 Steel Engraving. 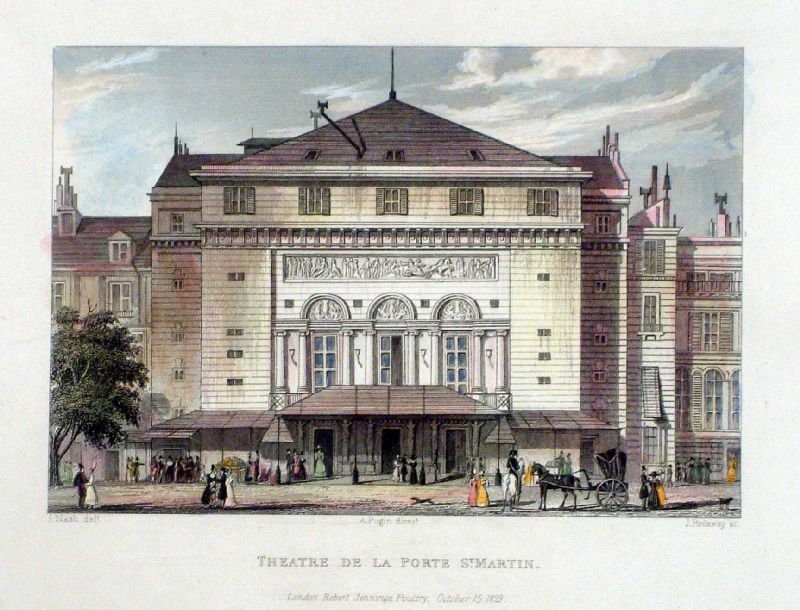 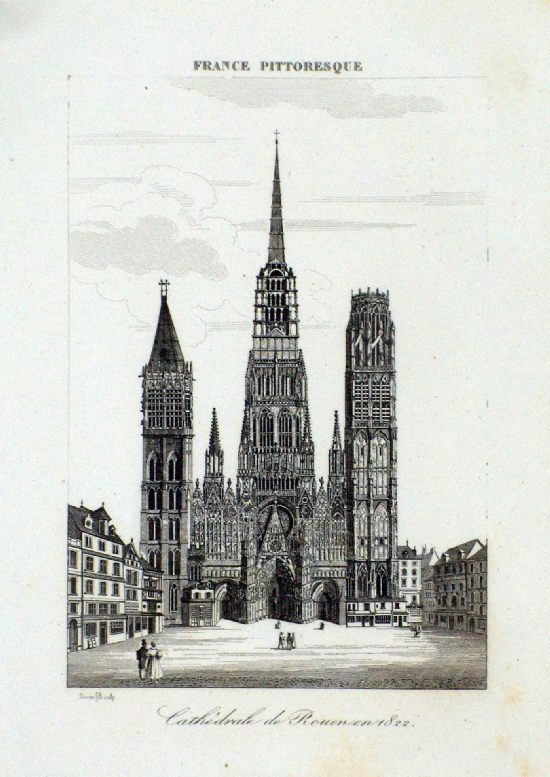 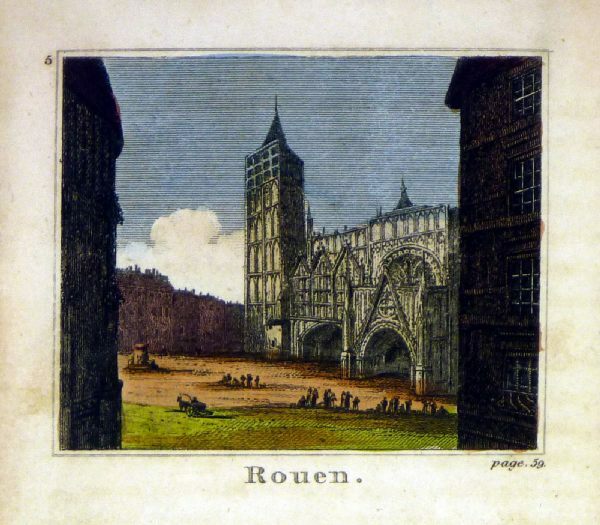 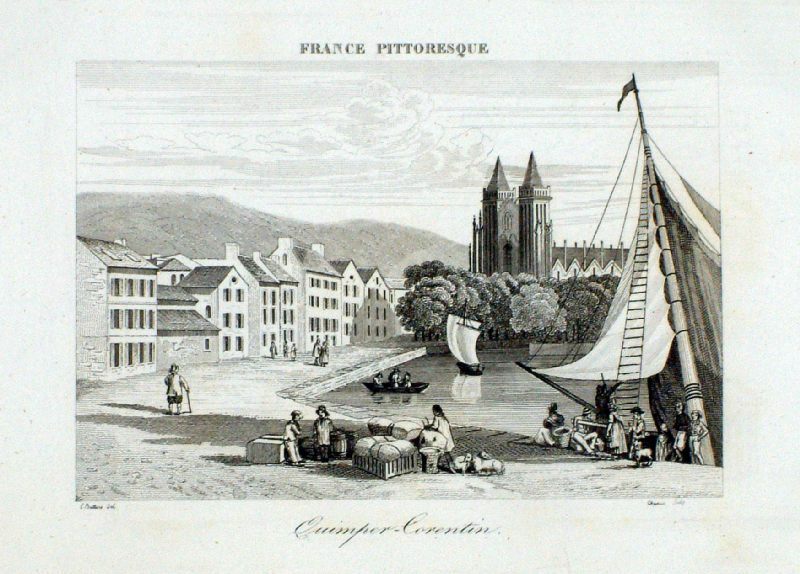 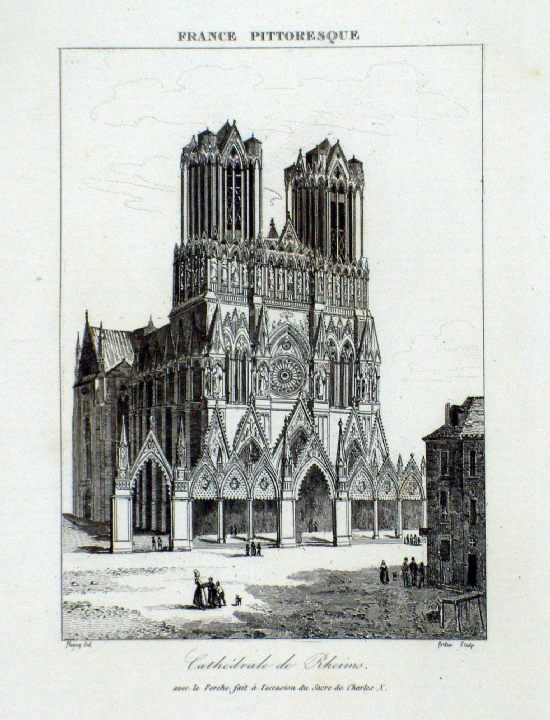 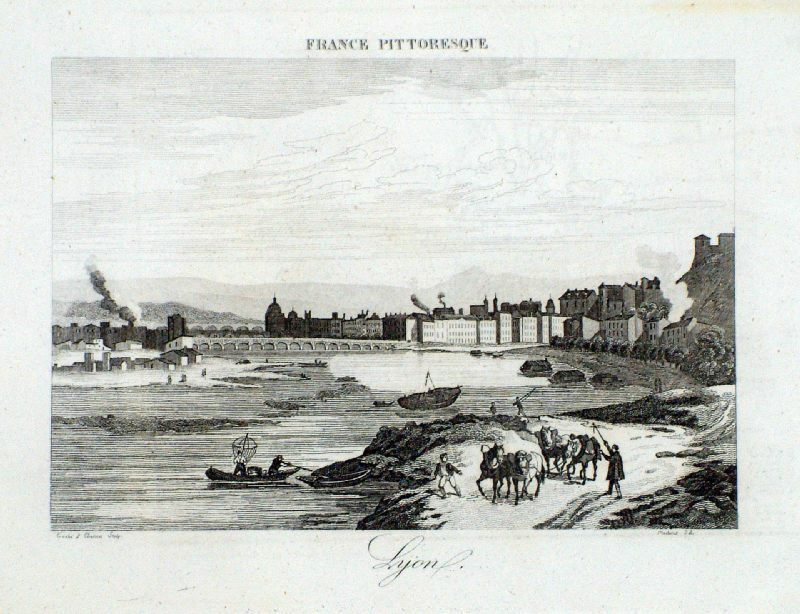 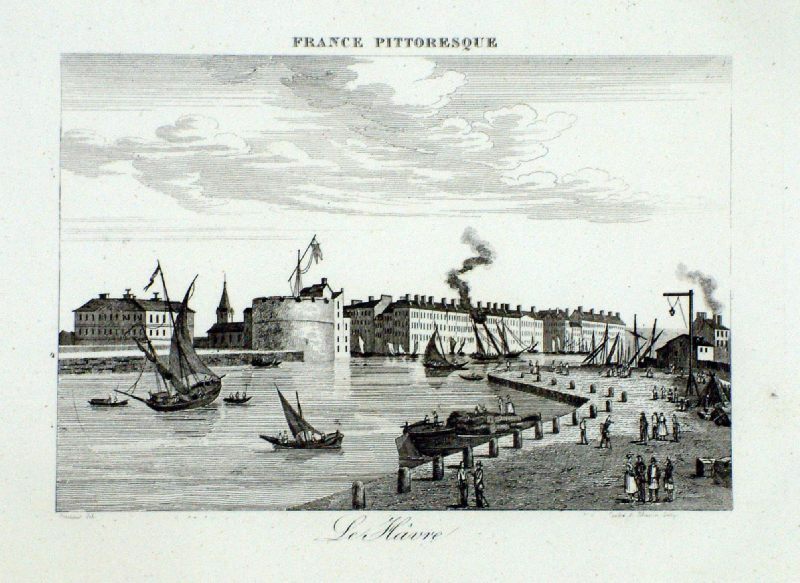 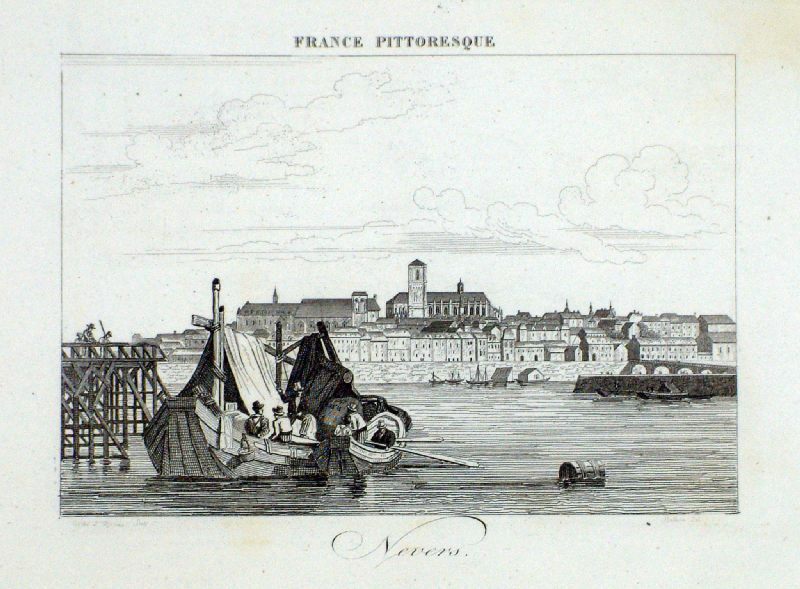 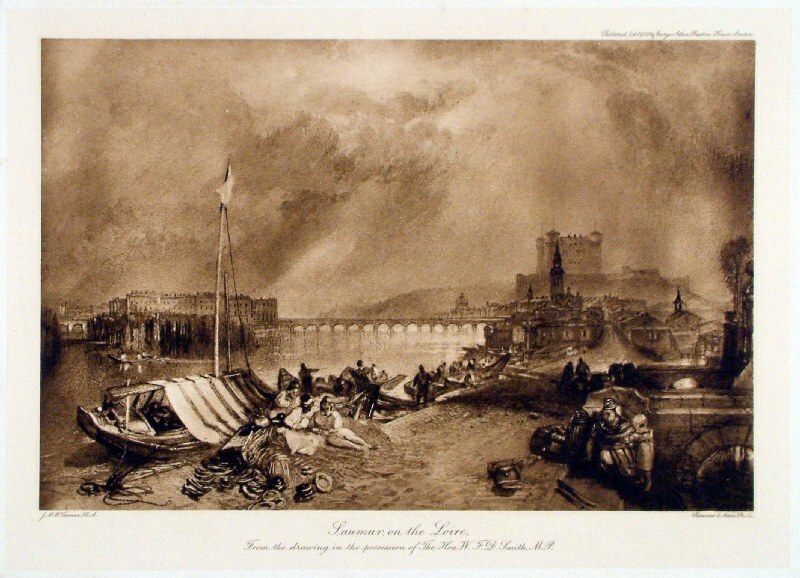 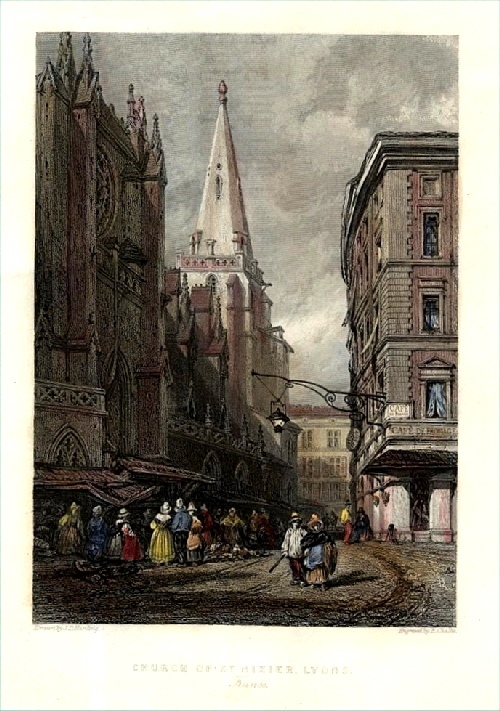 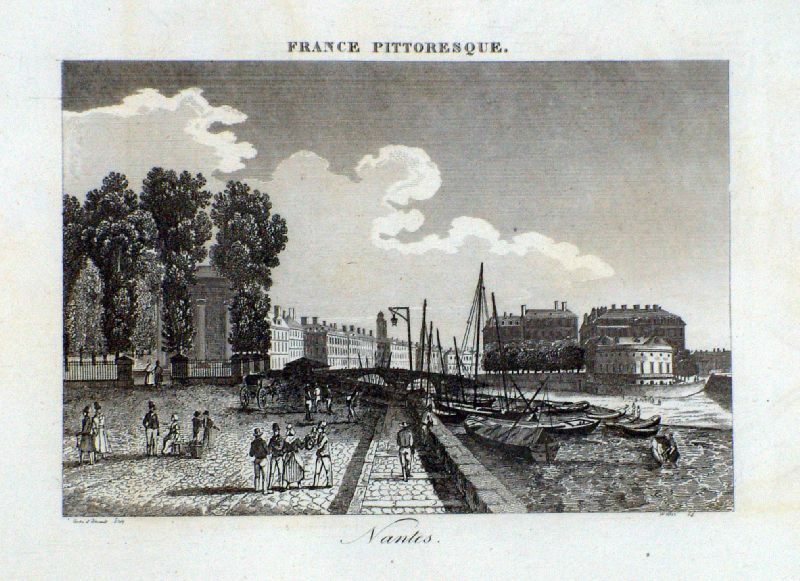 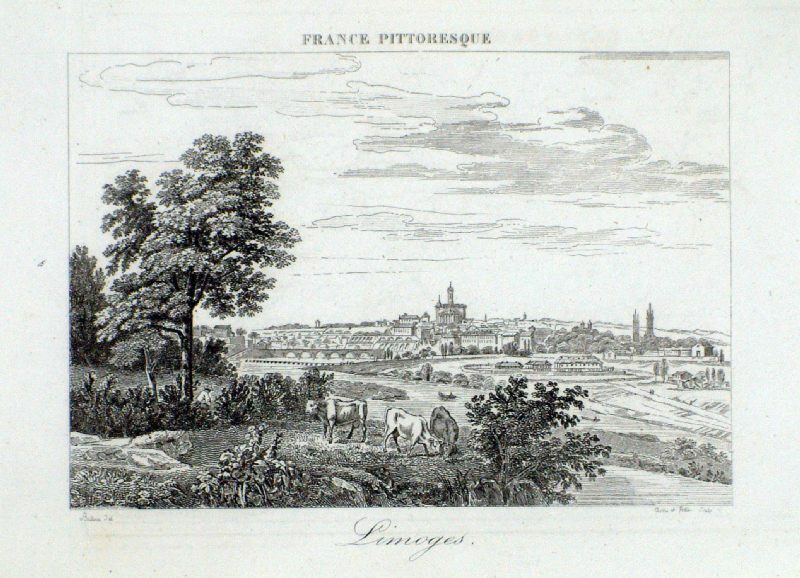 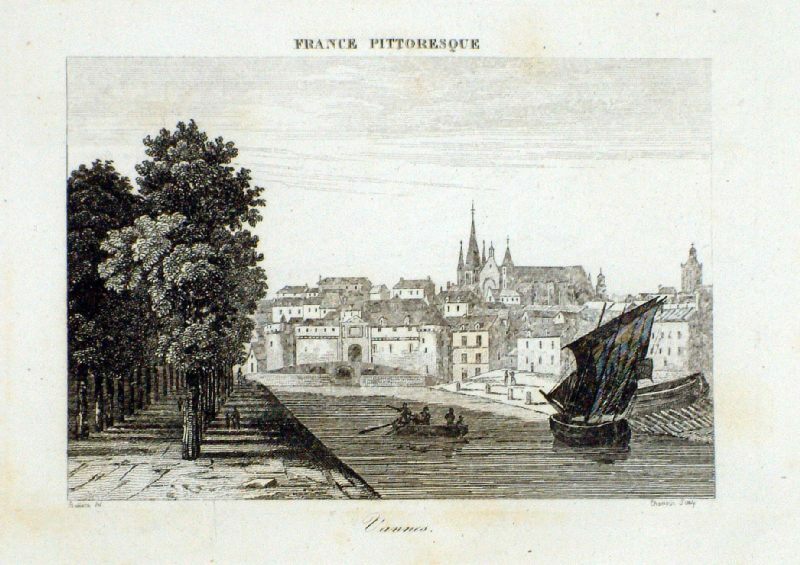 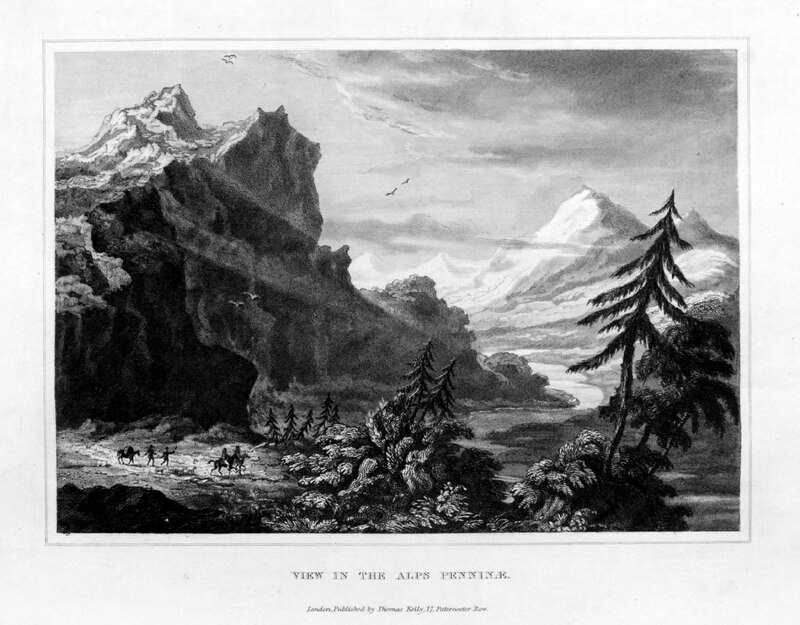 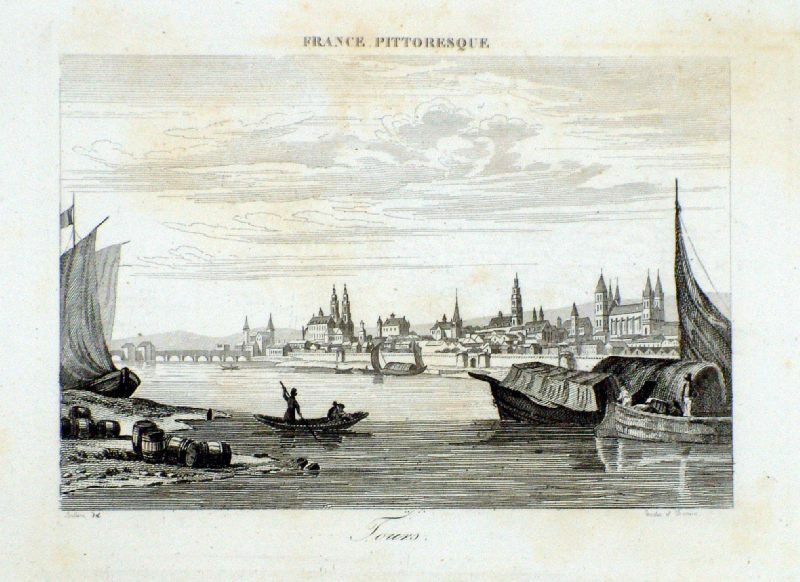 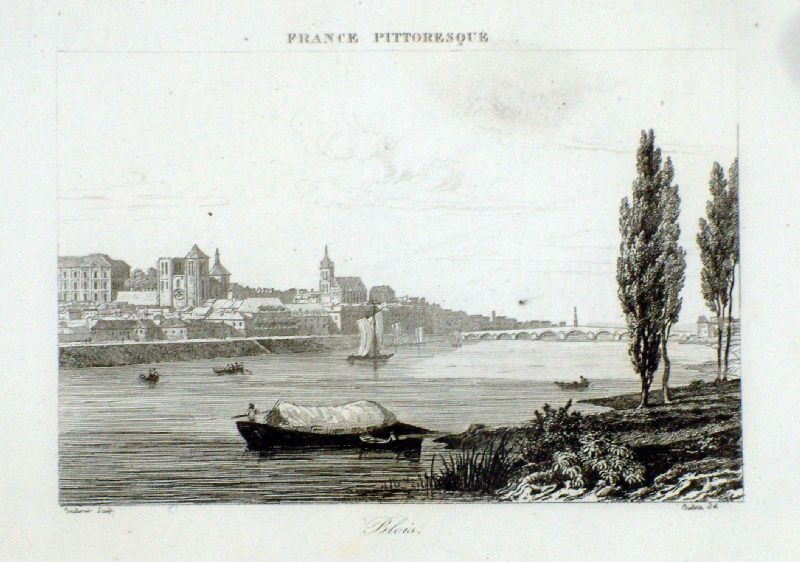 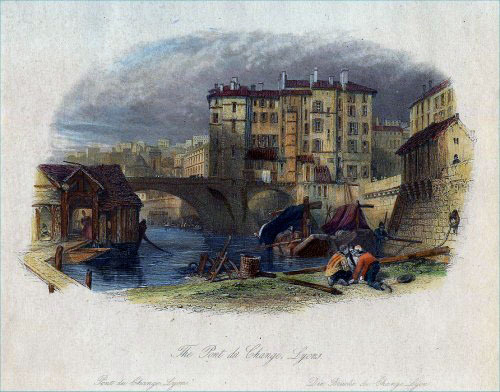 Lyon (The Point du Change, Lyon) c1830 Steel Engraving. 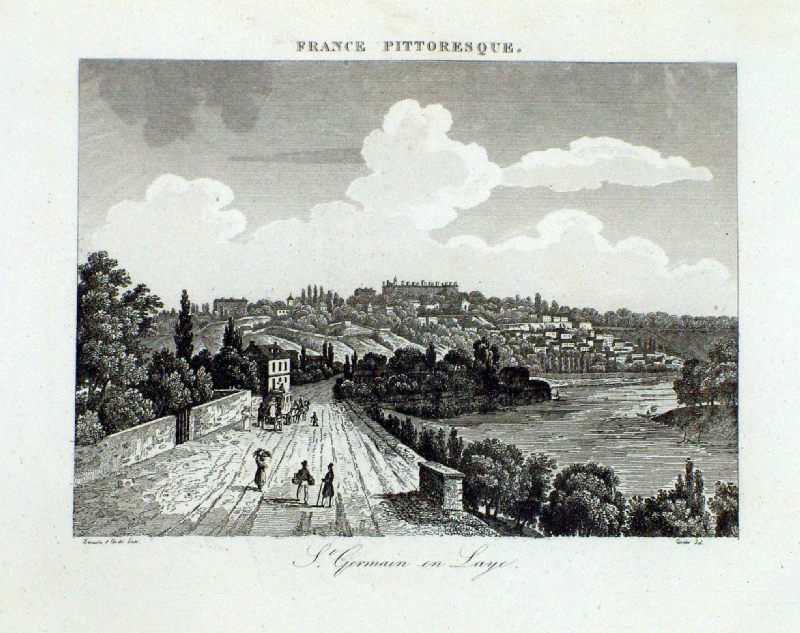 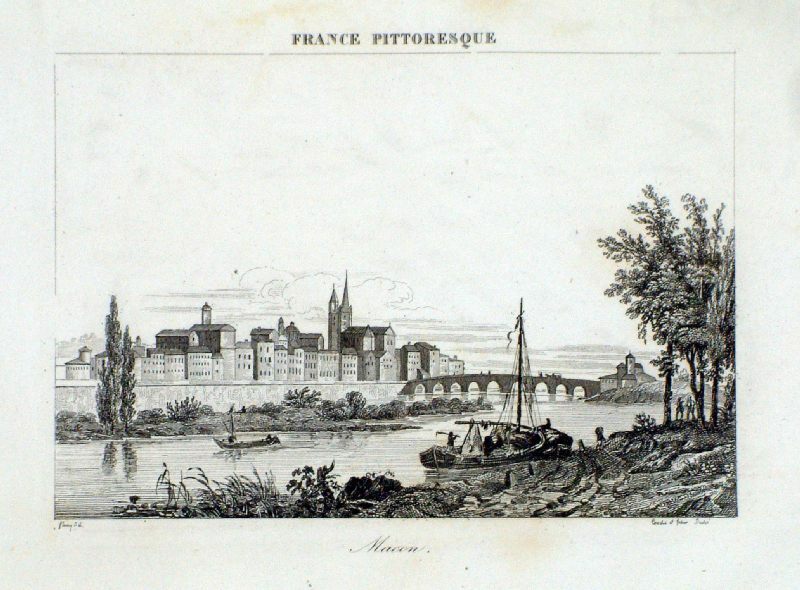 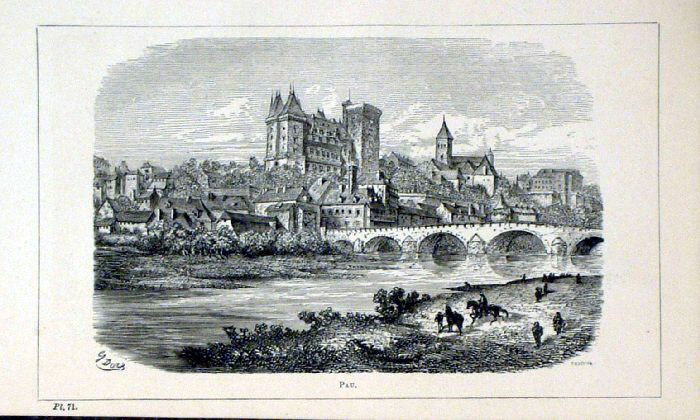 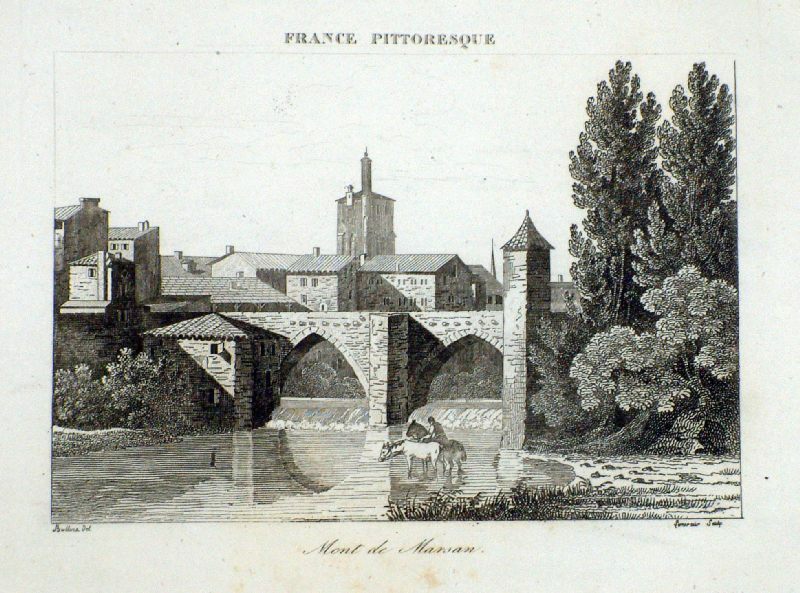 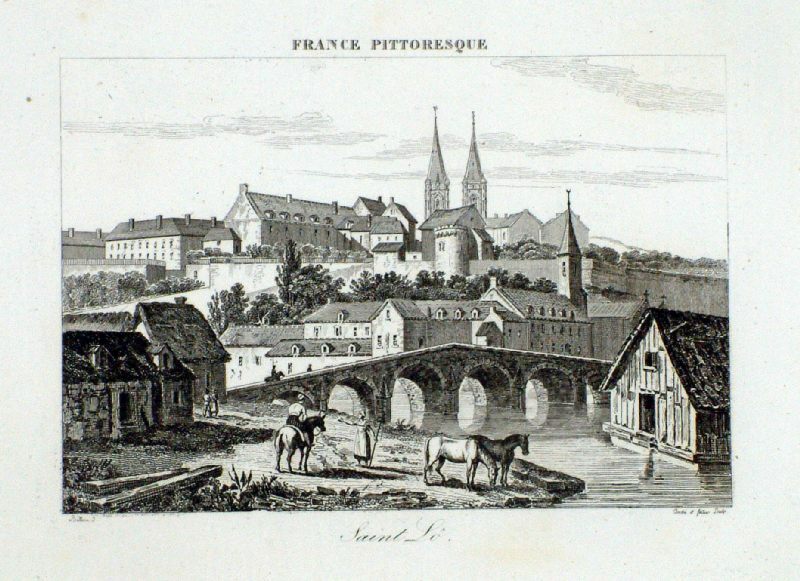 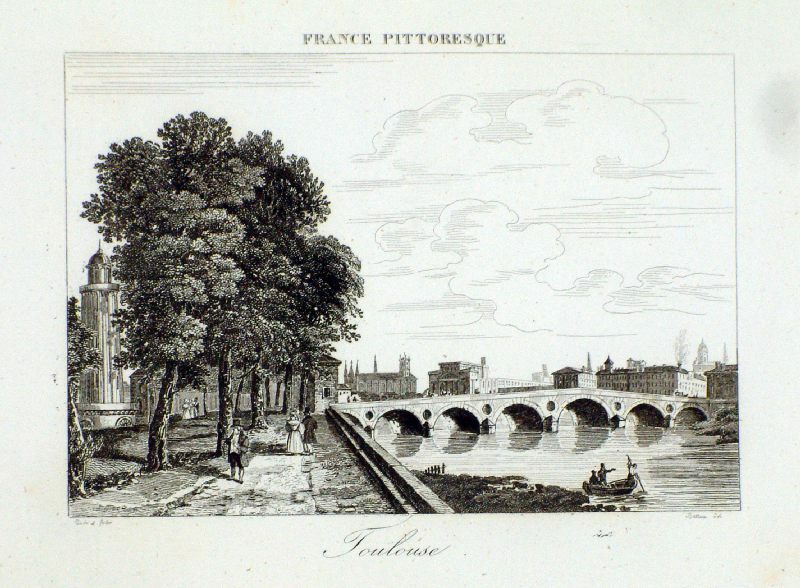 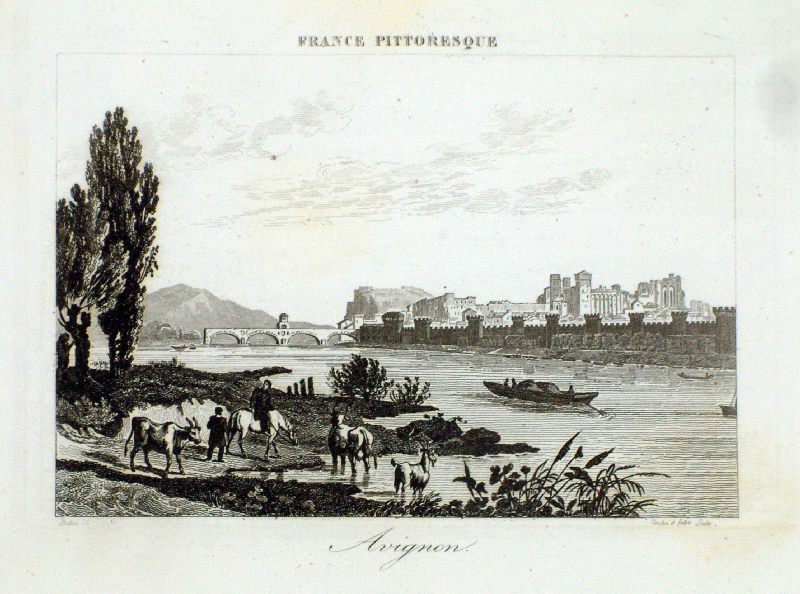 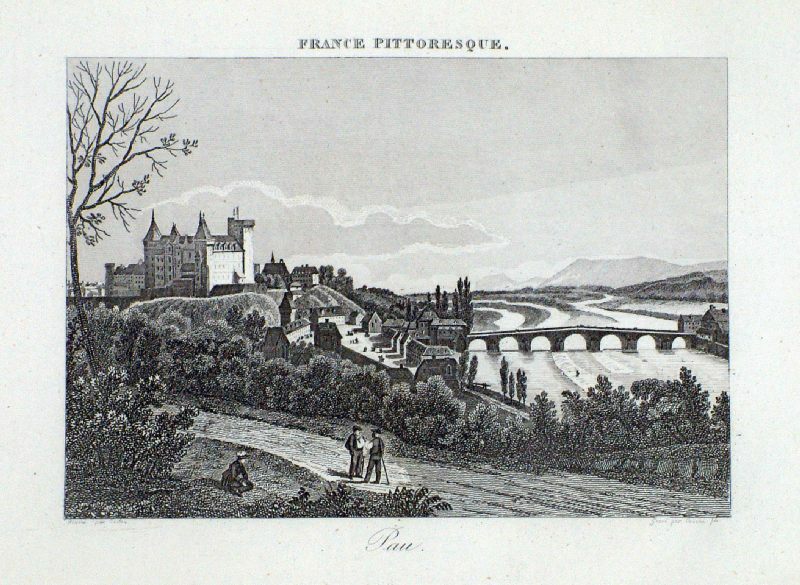 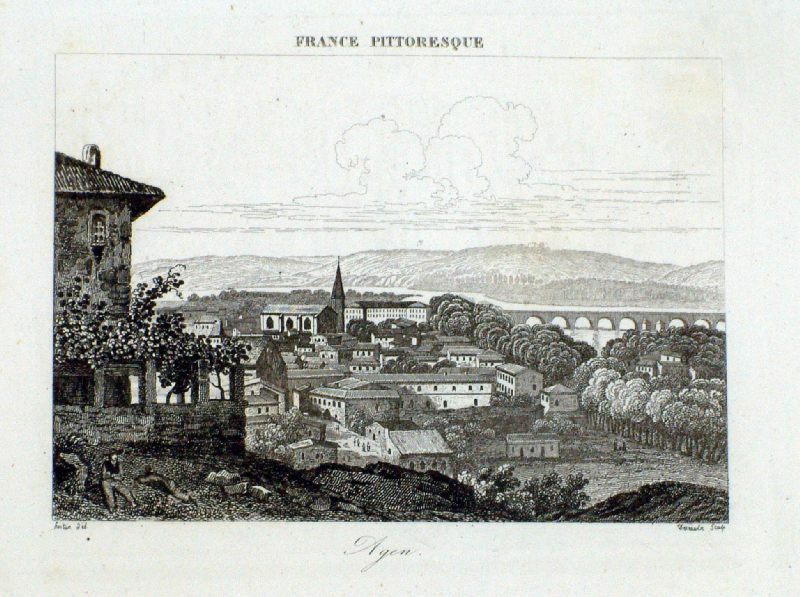 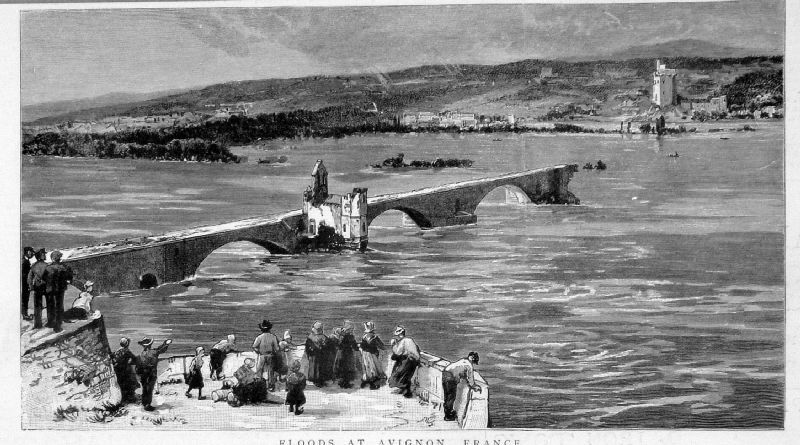 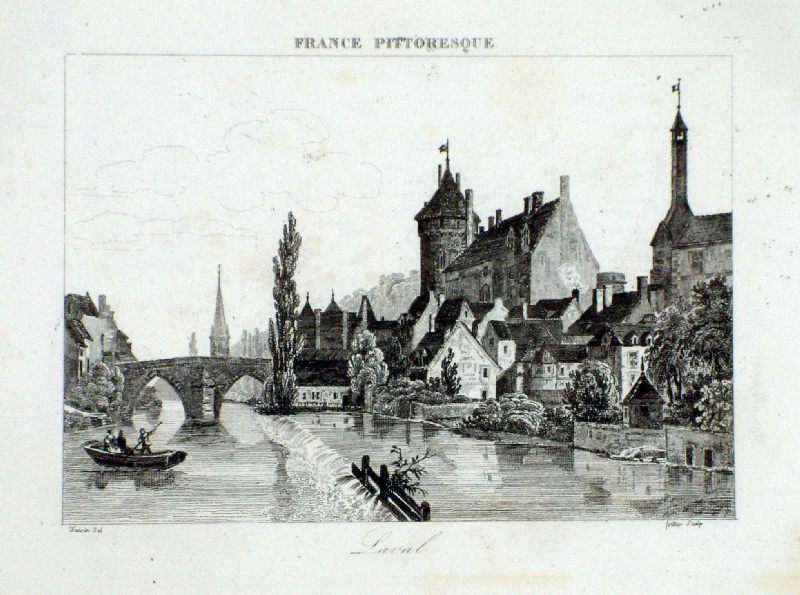 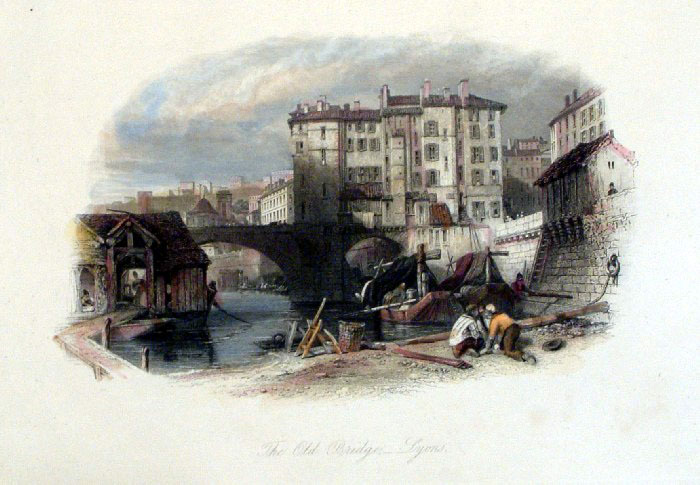 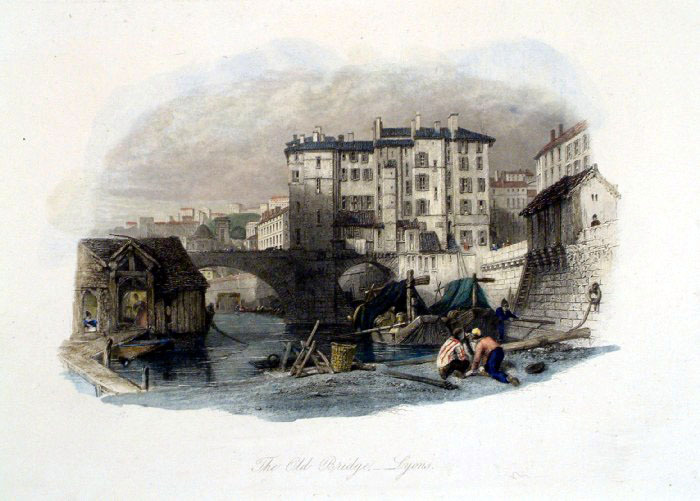 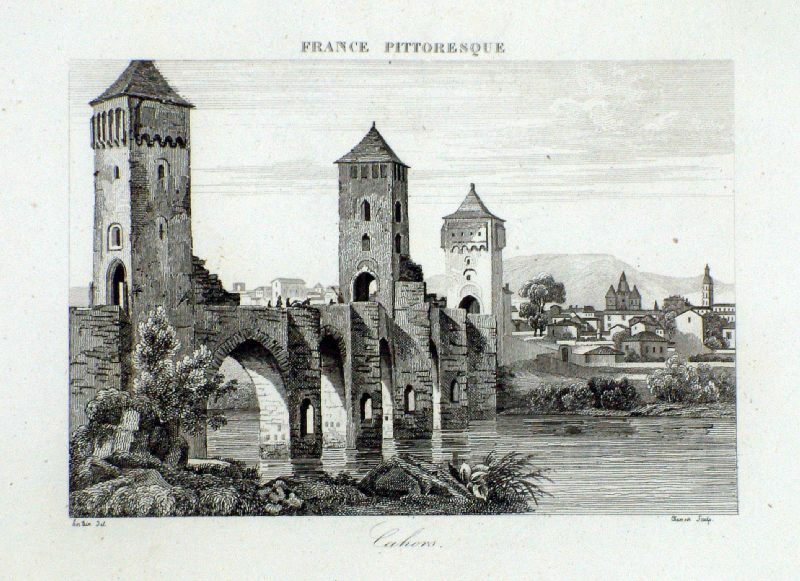 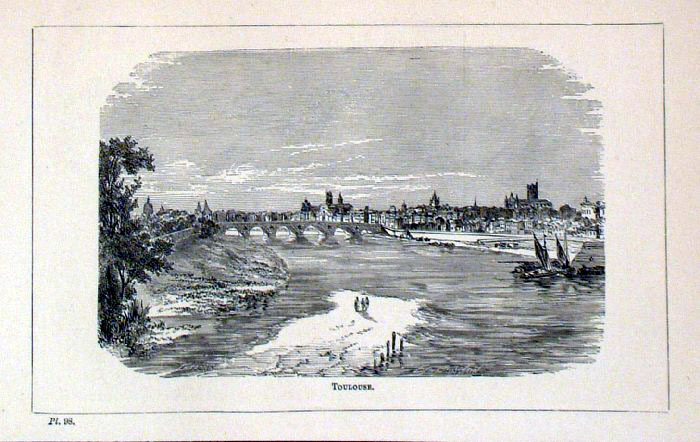 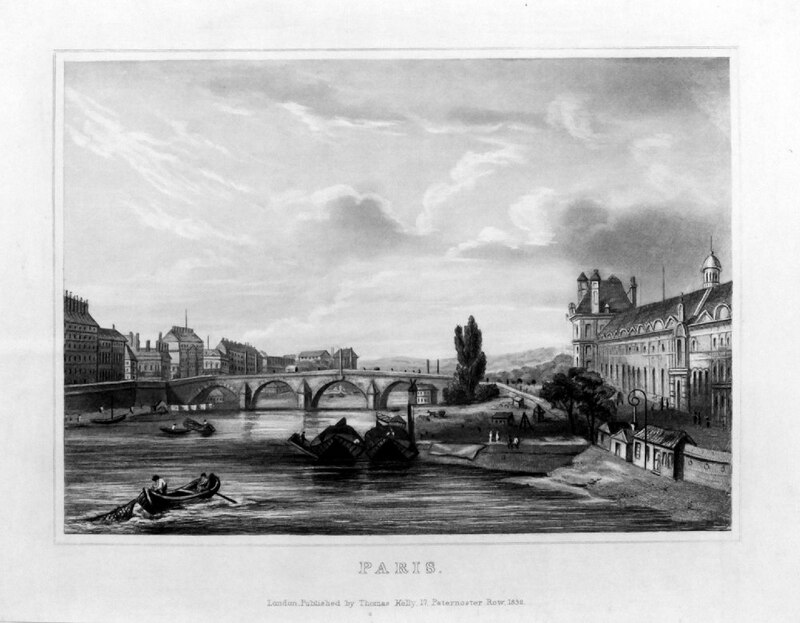 Lyon (The Old Bridge) c1830 Steel Engraving. 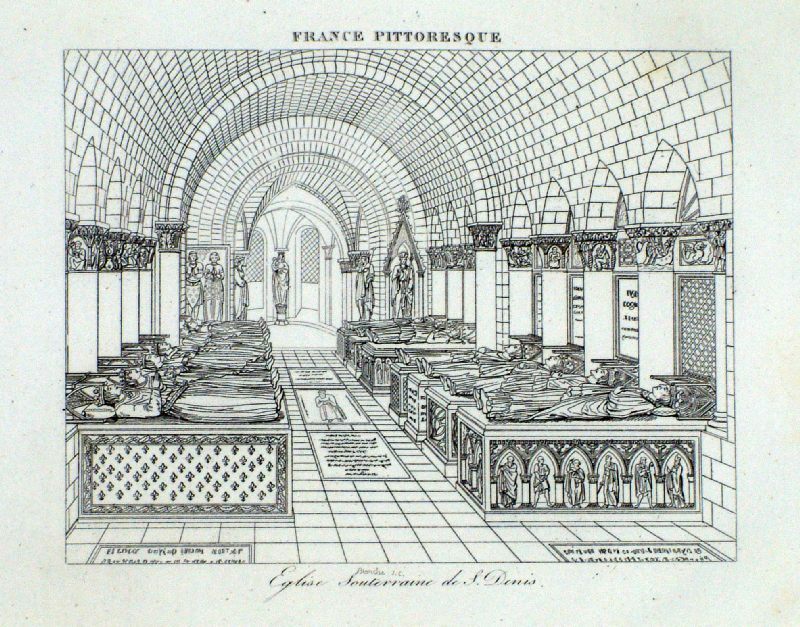 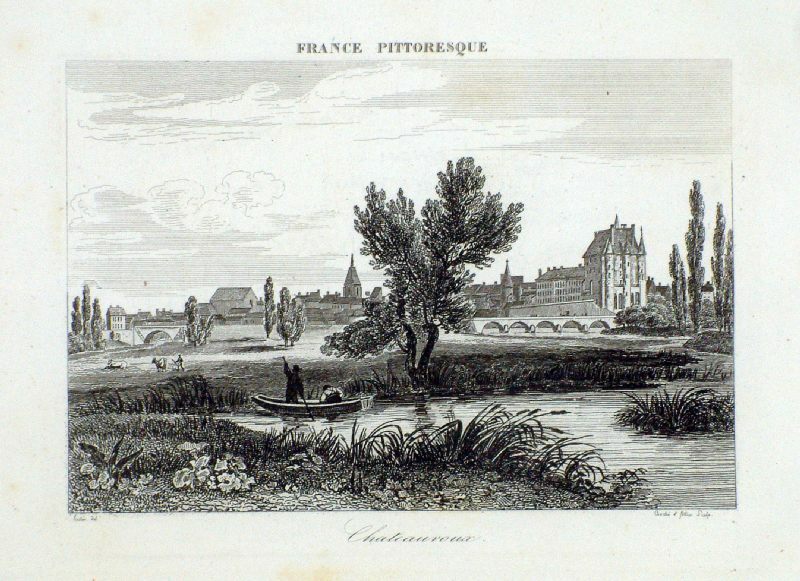 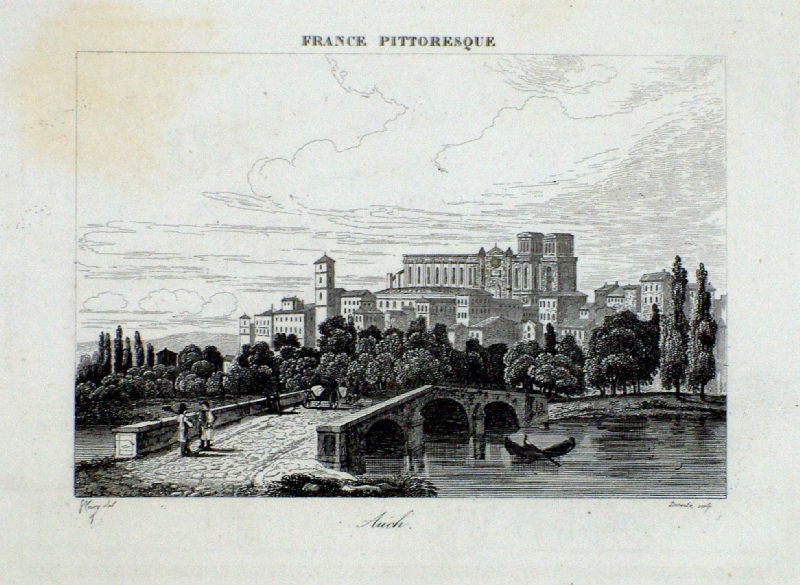 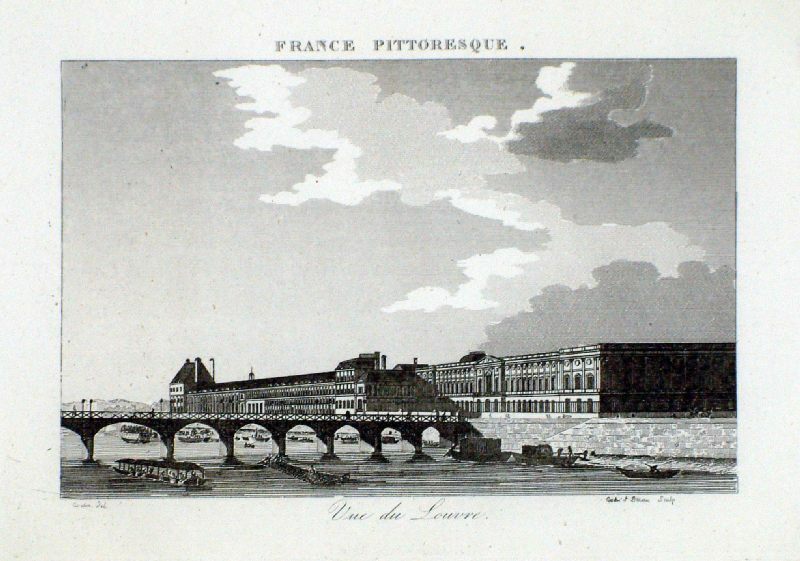 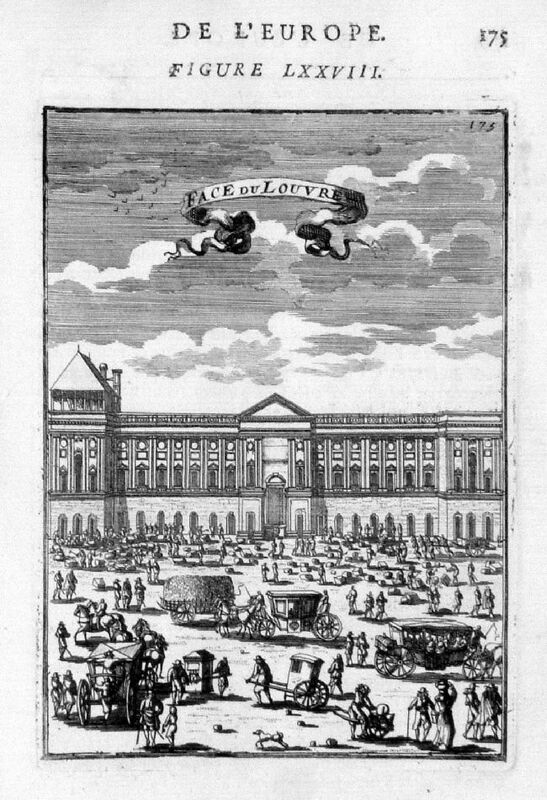 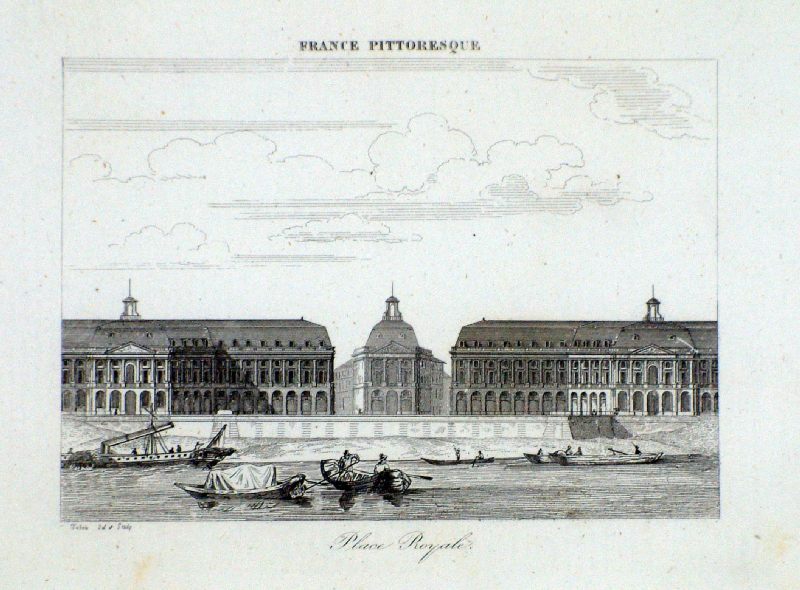 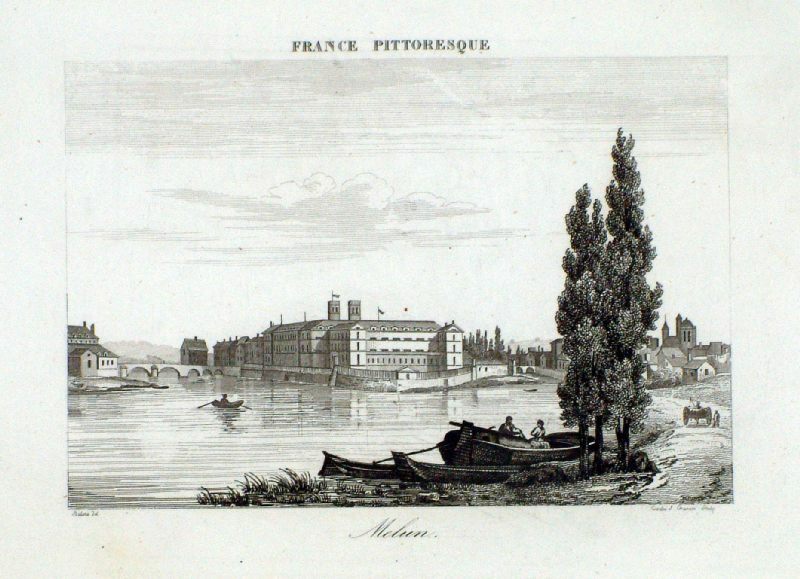 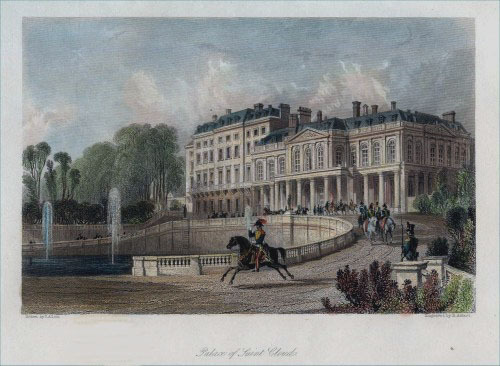 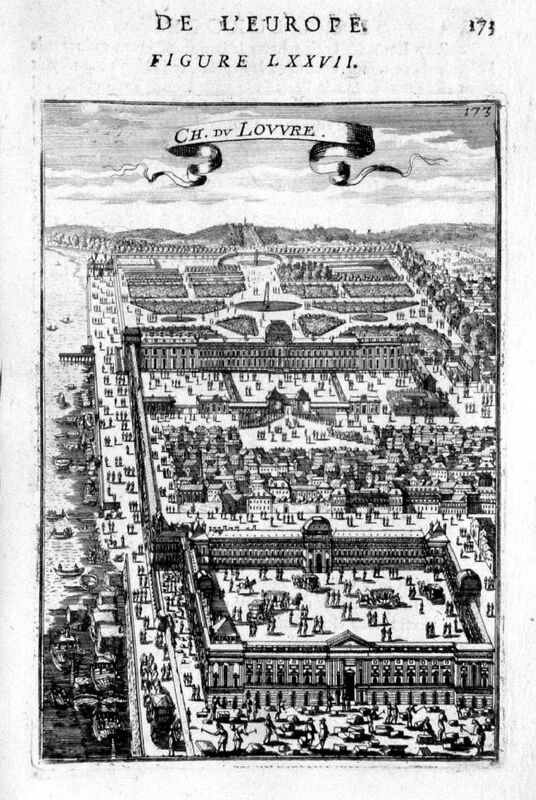 The Palace of Saint Cloud c1840 Steel Engraving. 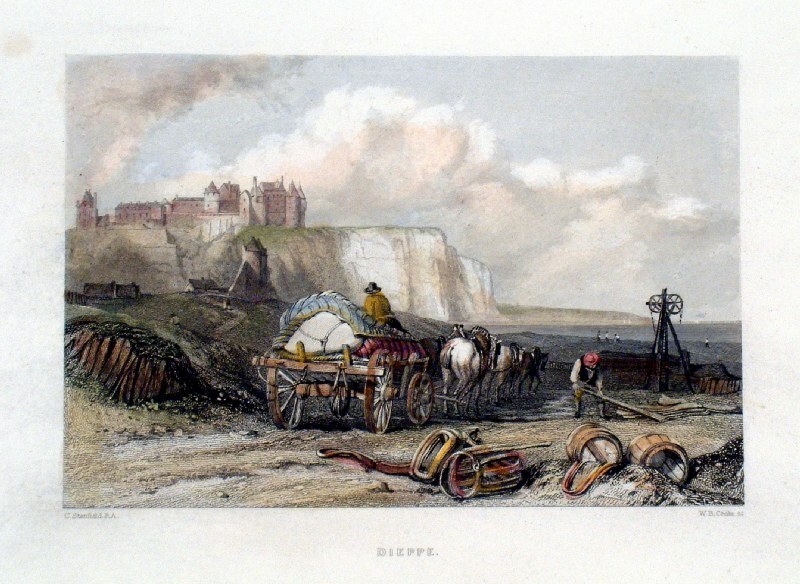 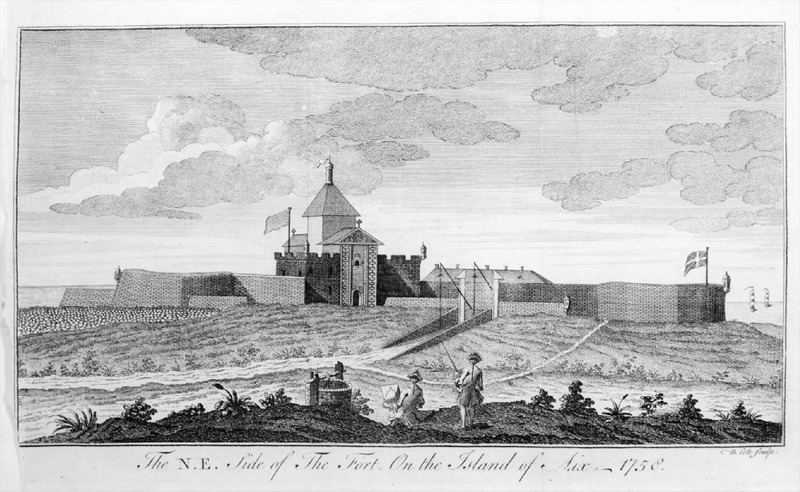 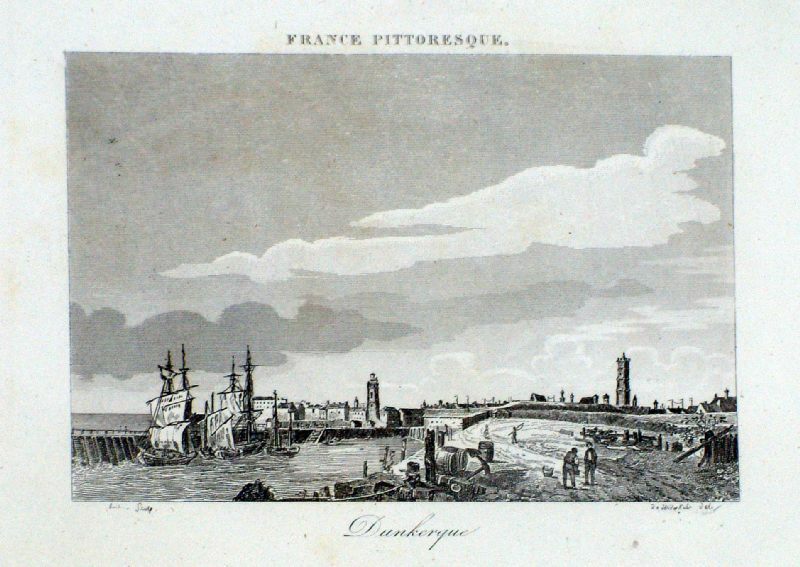 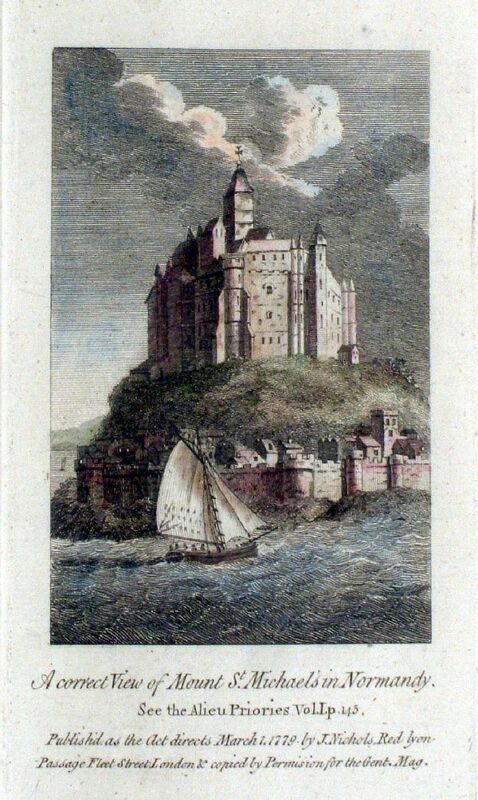 Port of Dieppe Warren c1700 Copper Engraving. 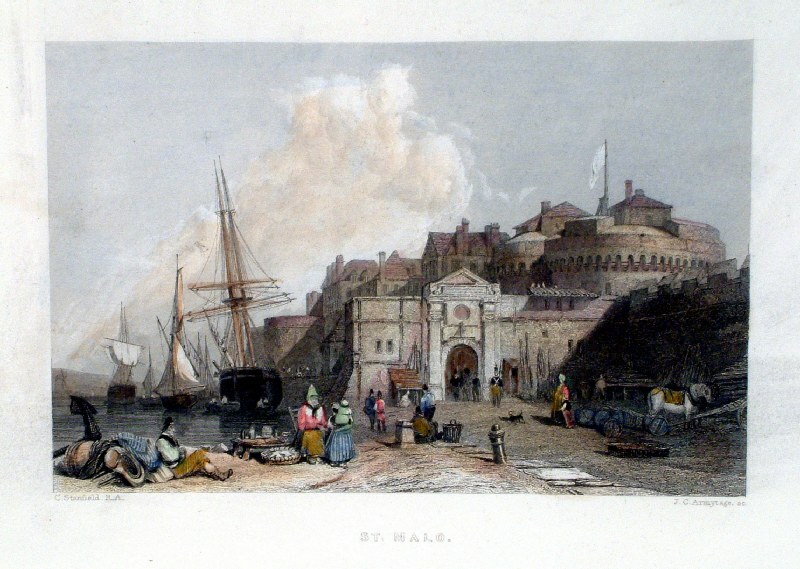 Small hole in centre and stain at right border. 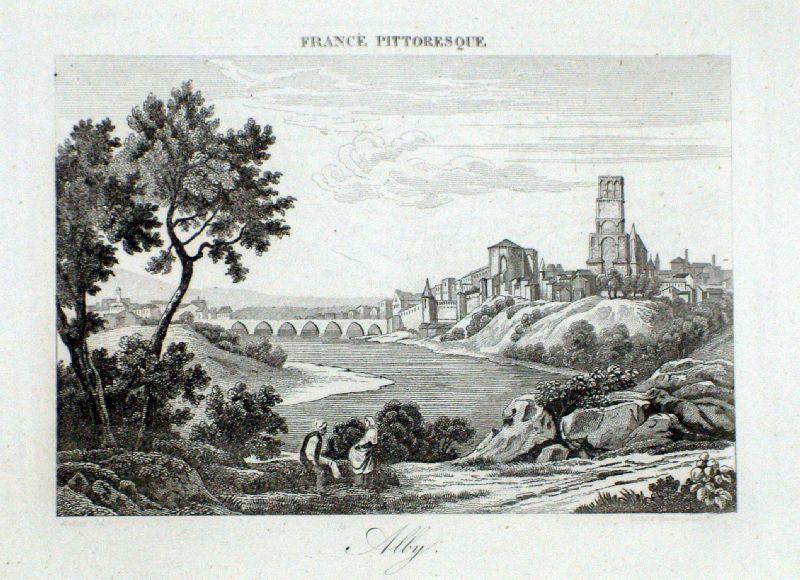 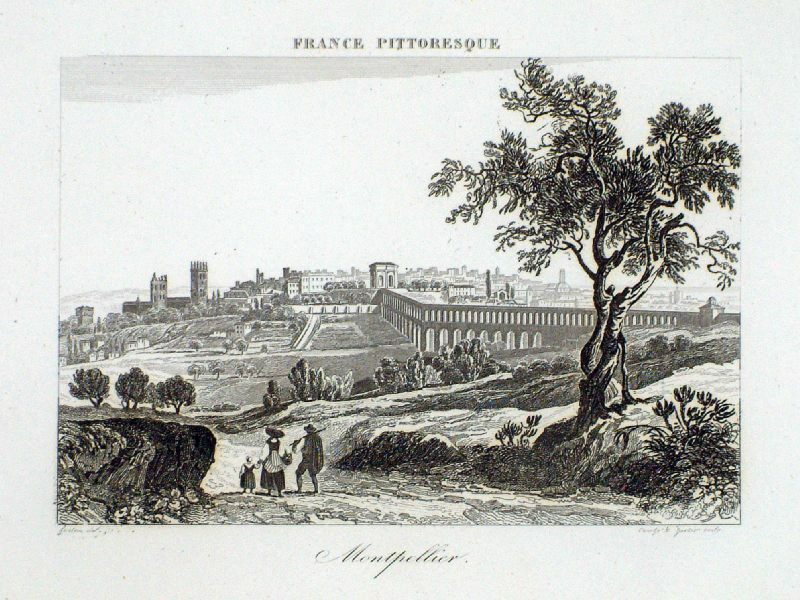 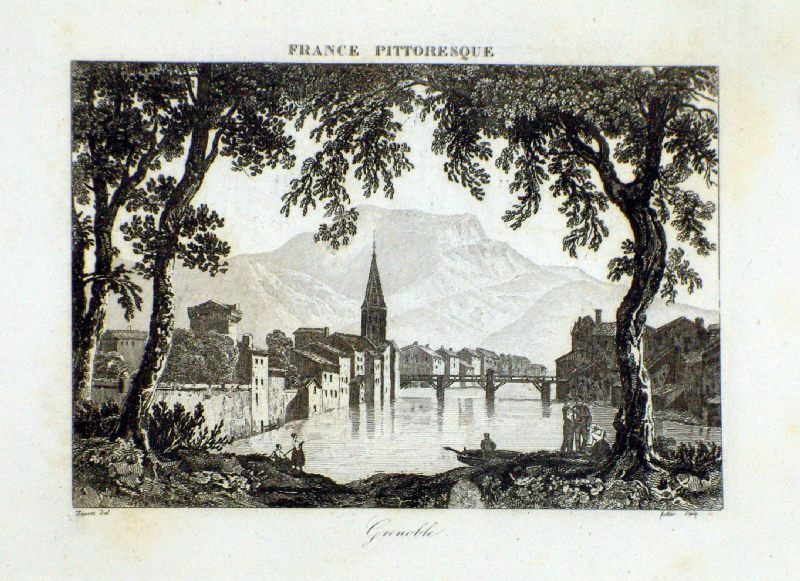 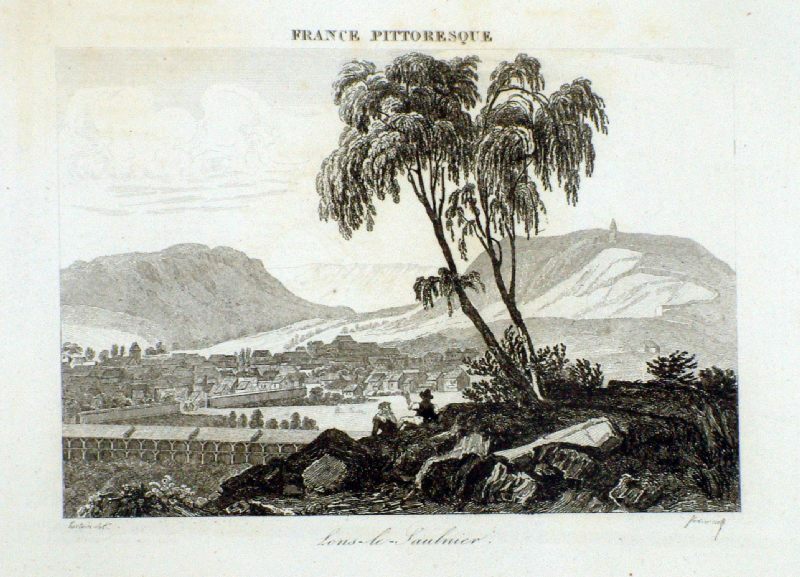 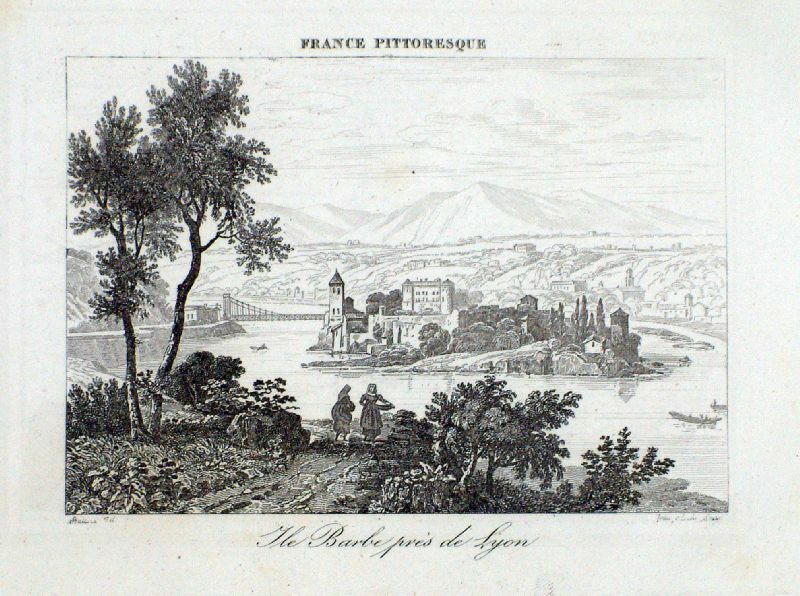 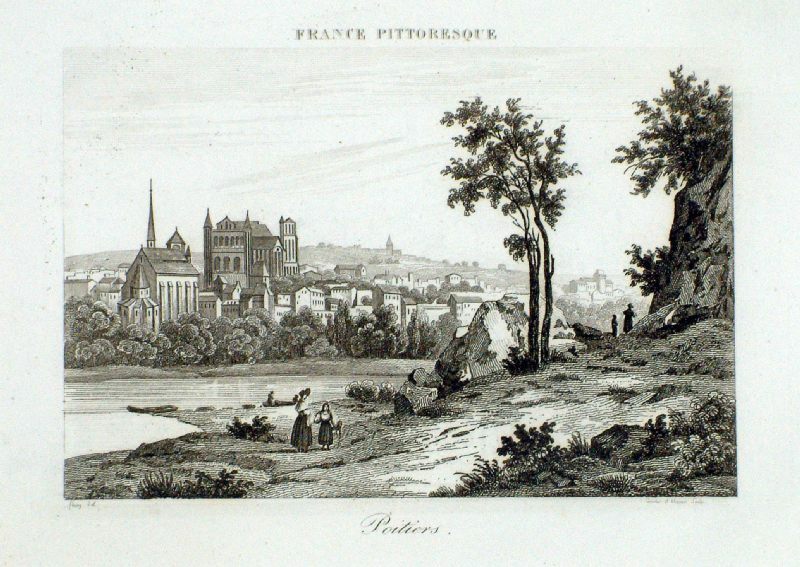 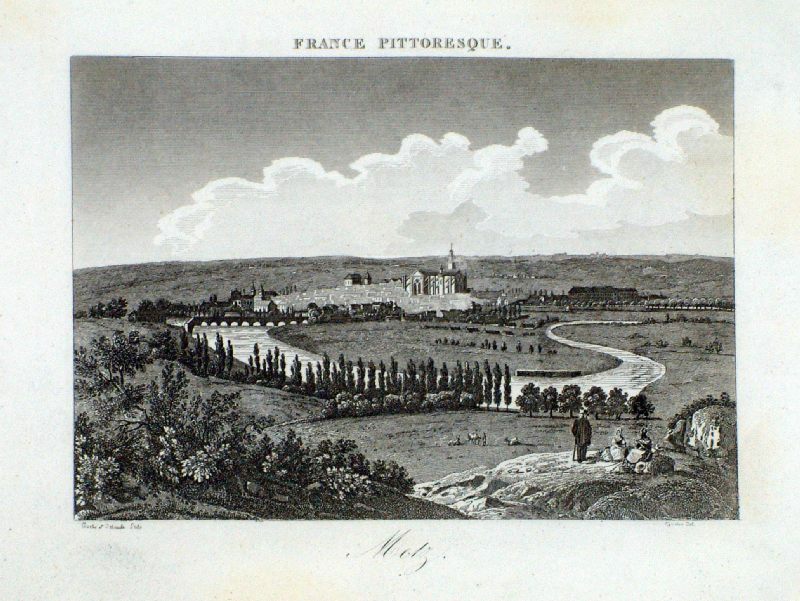 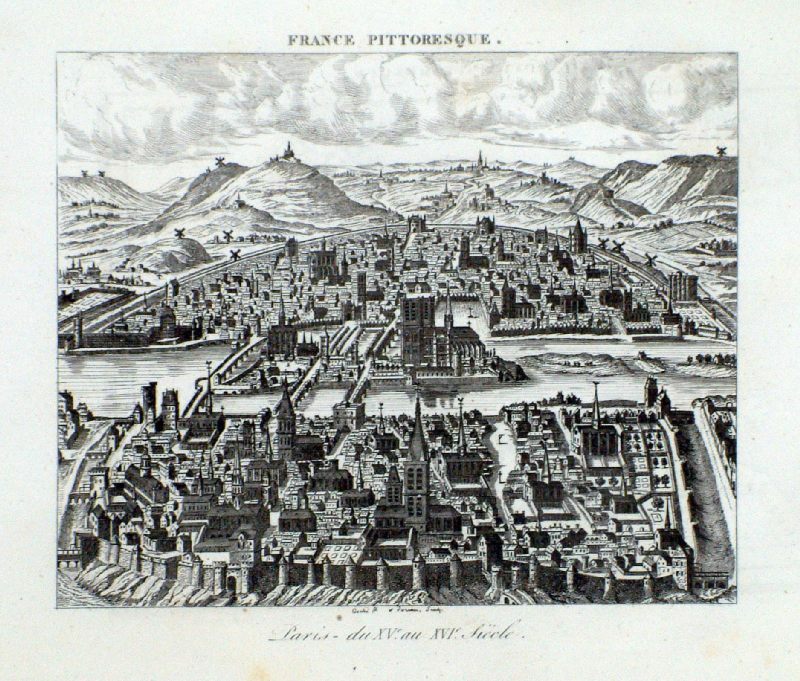 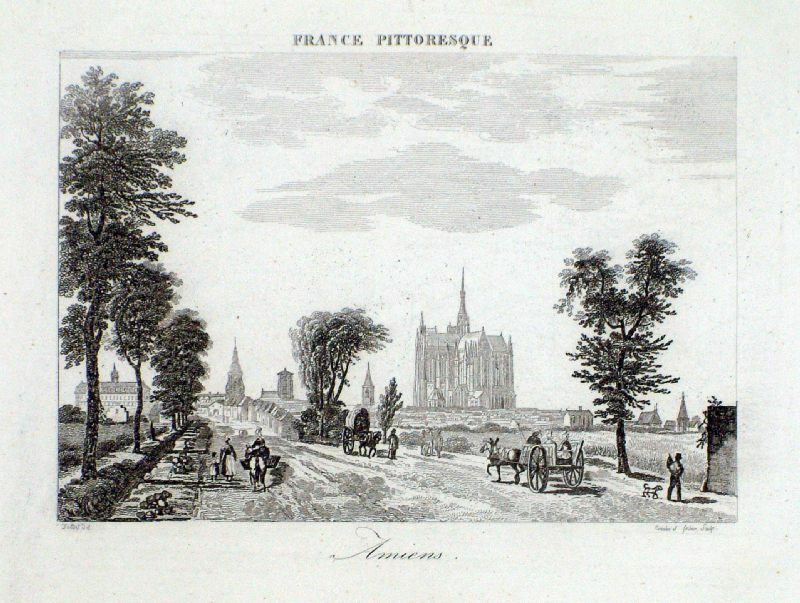 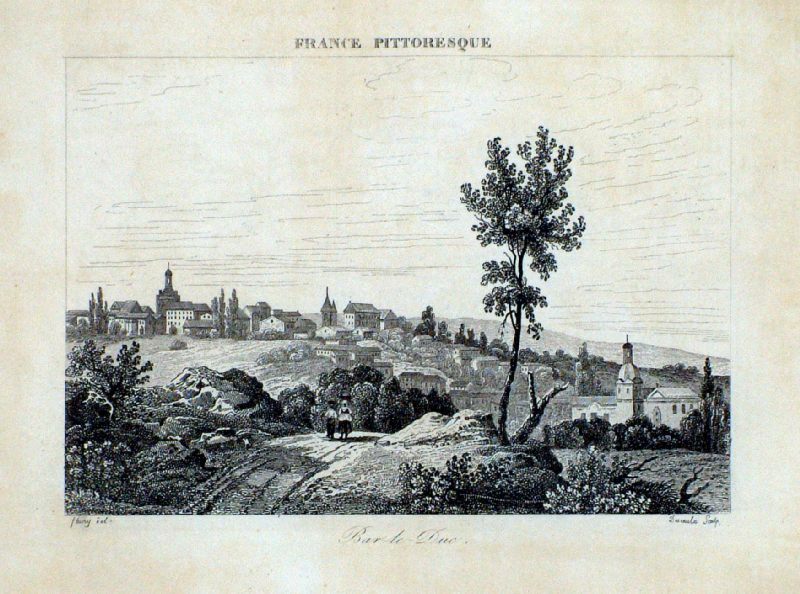 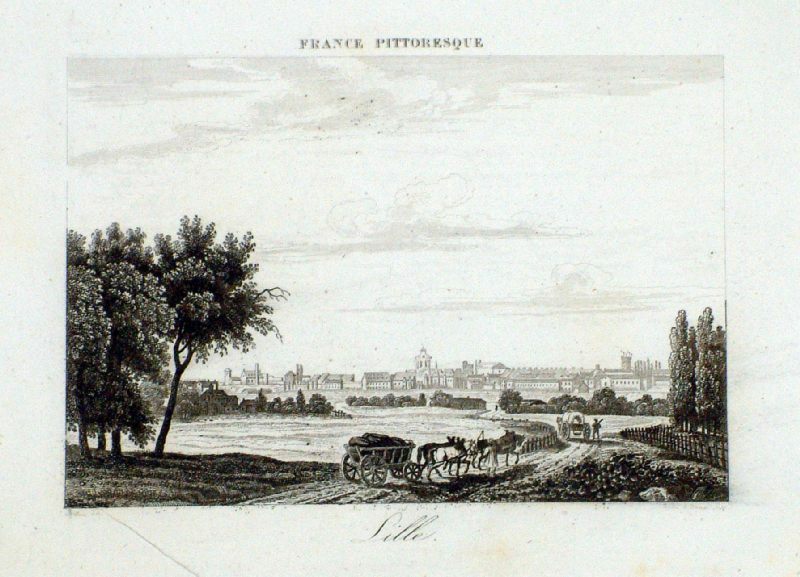 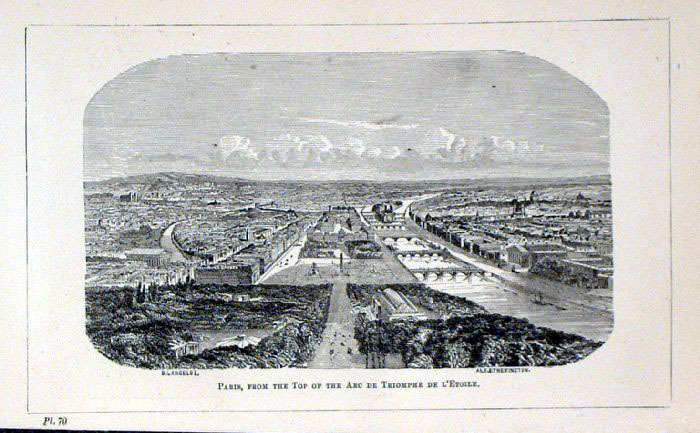 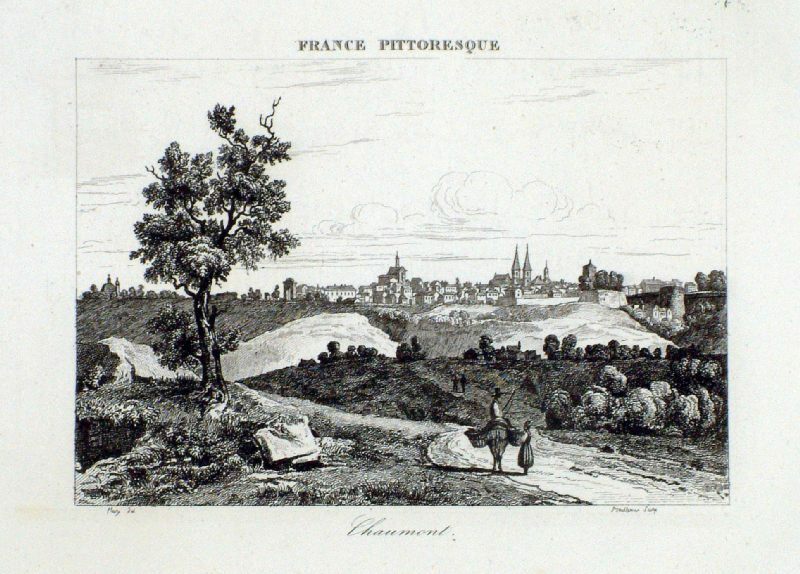 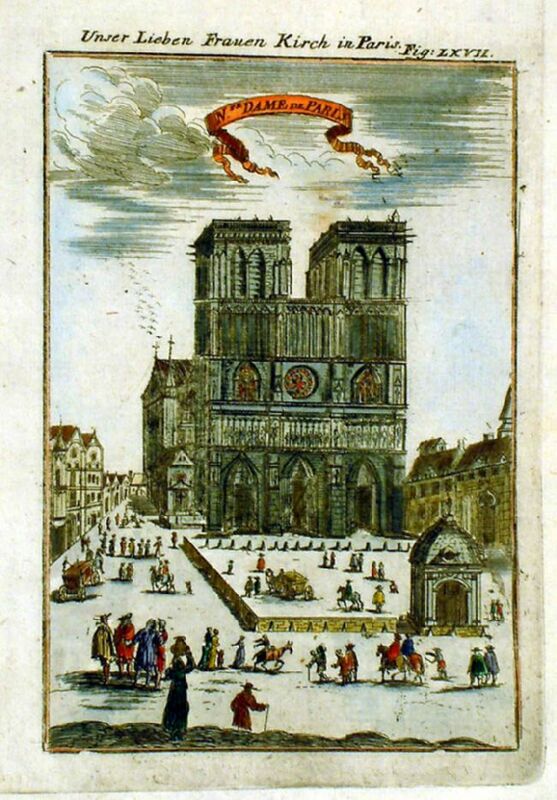 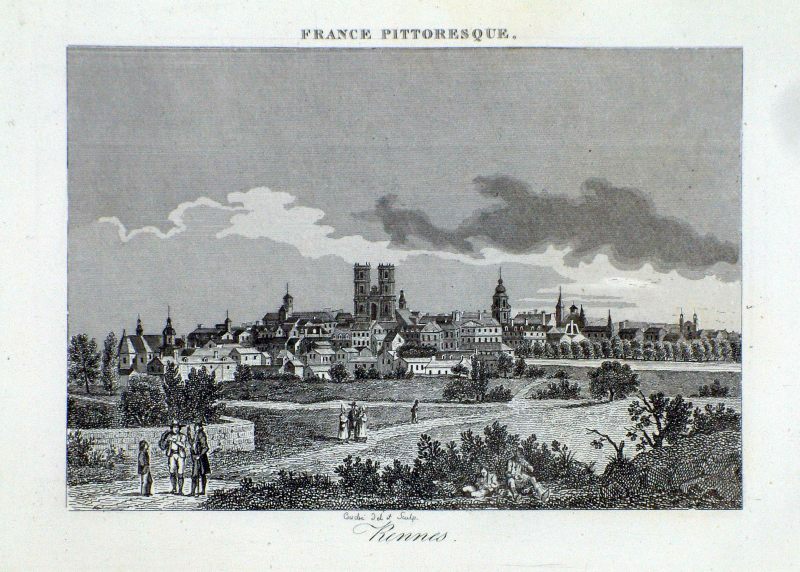 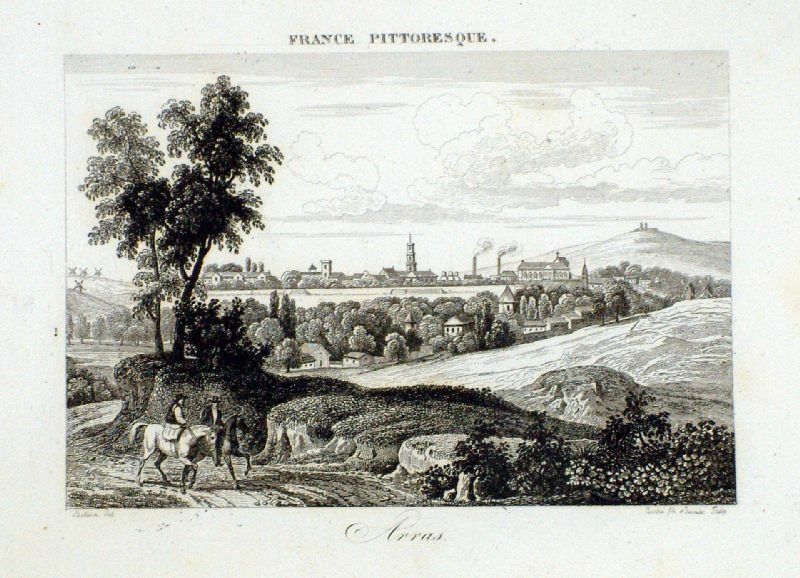 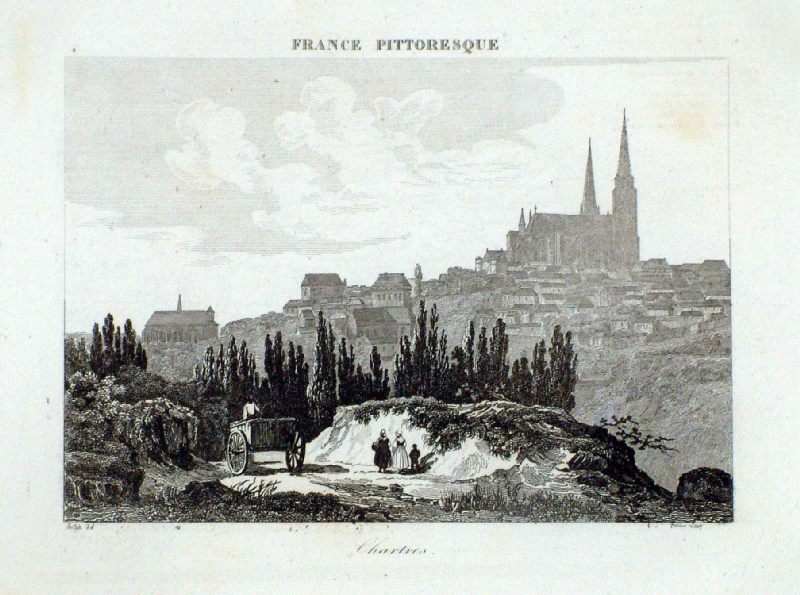 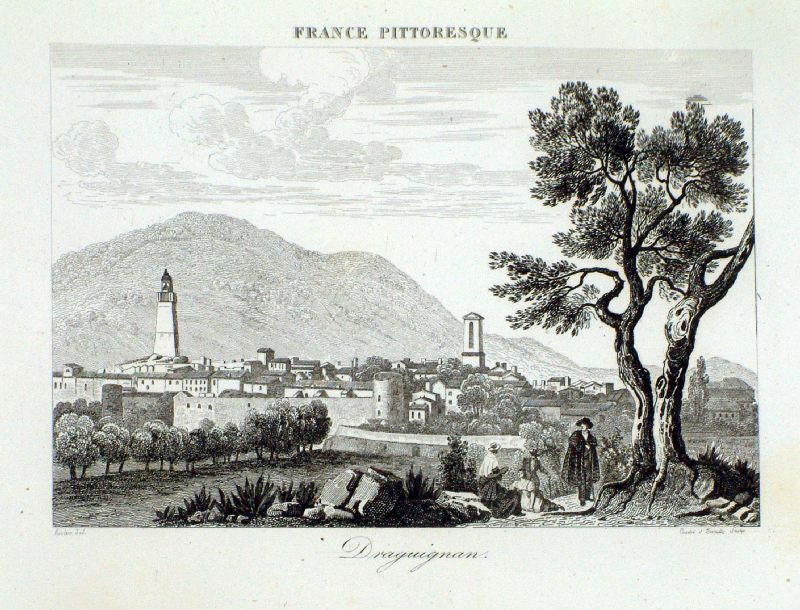 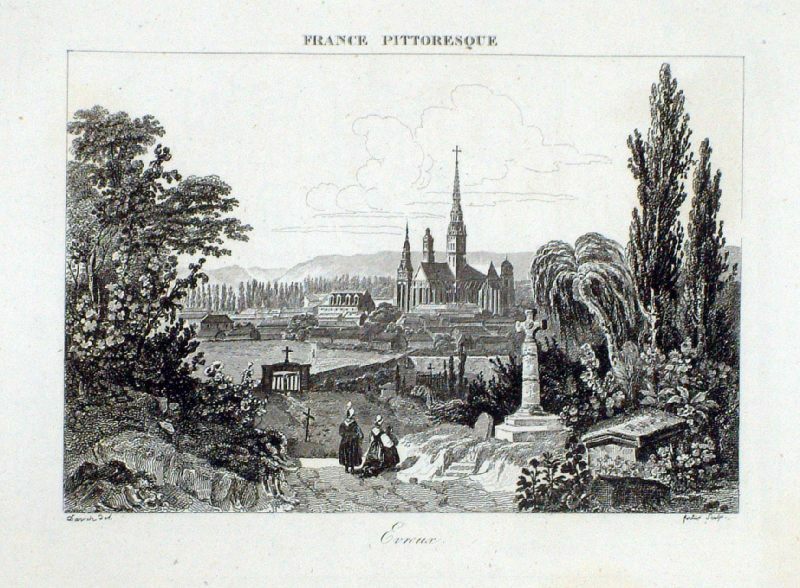 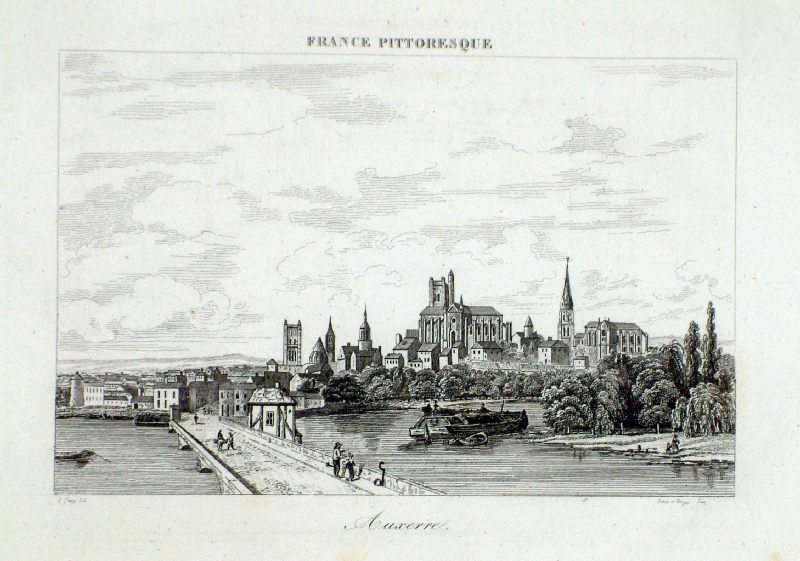 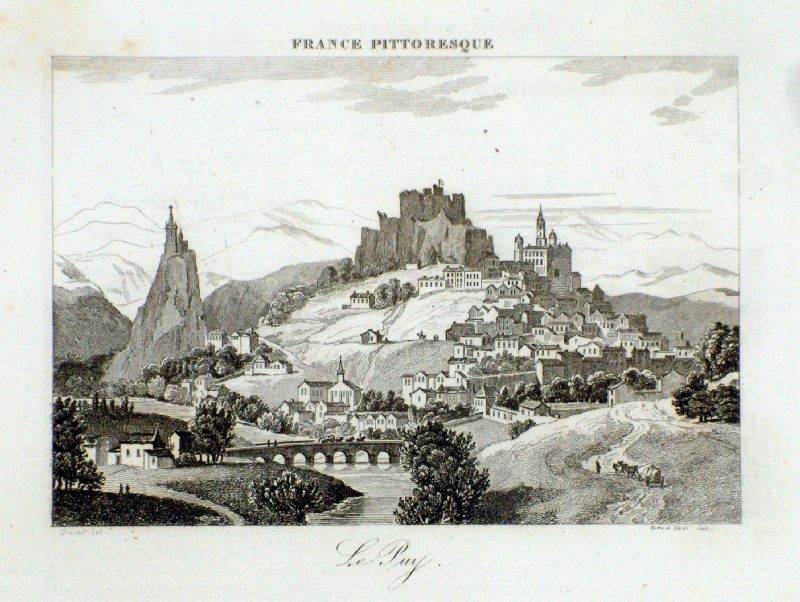 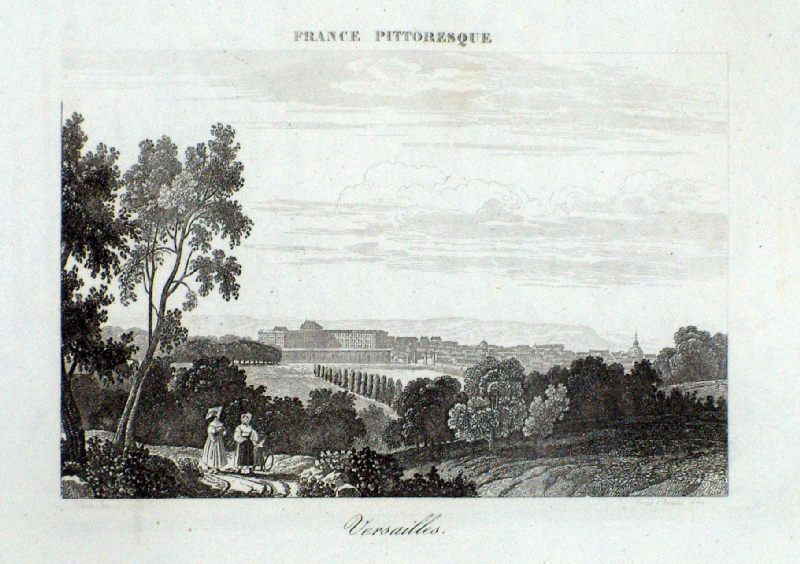 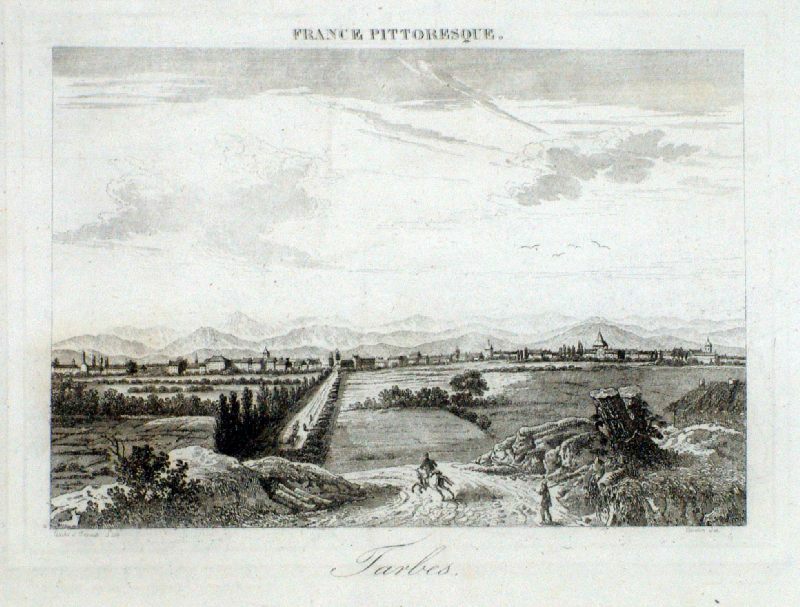 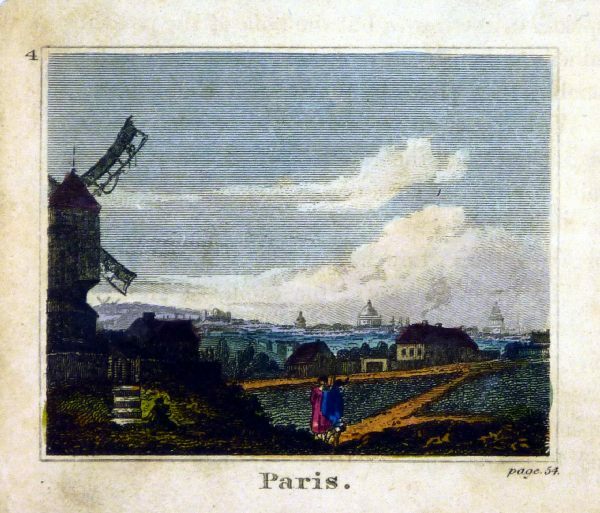 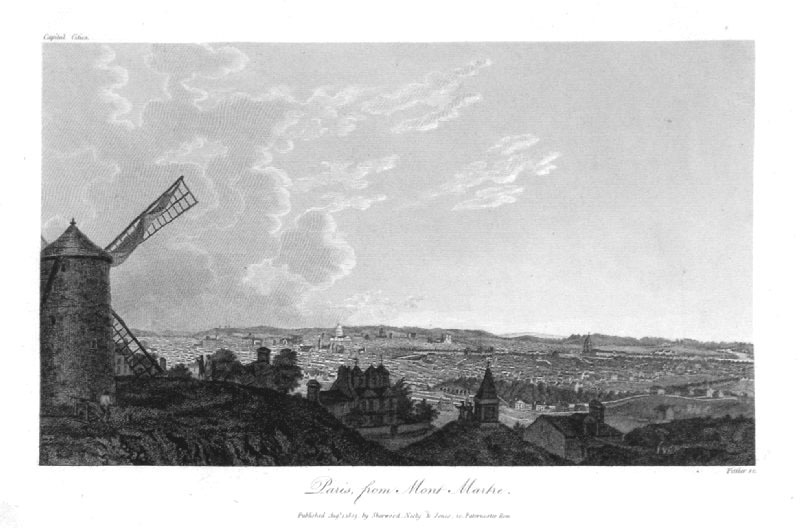 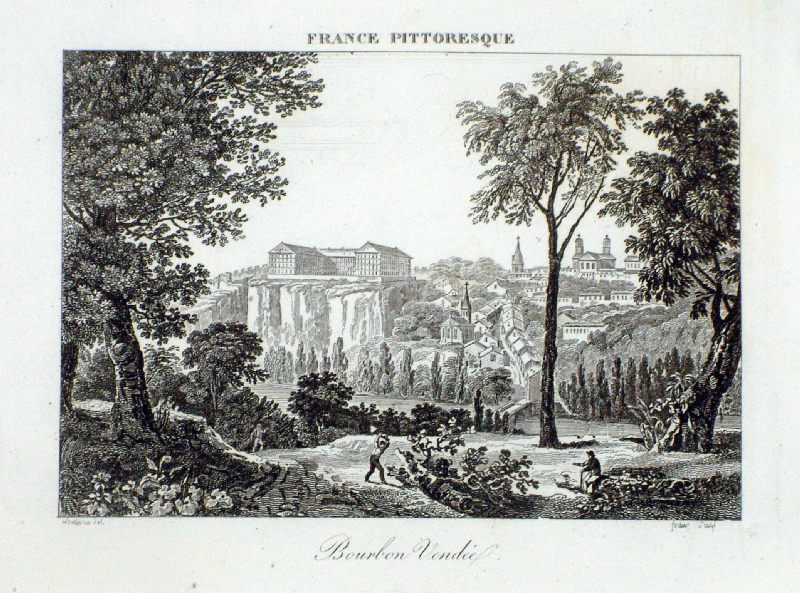 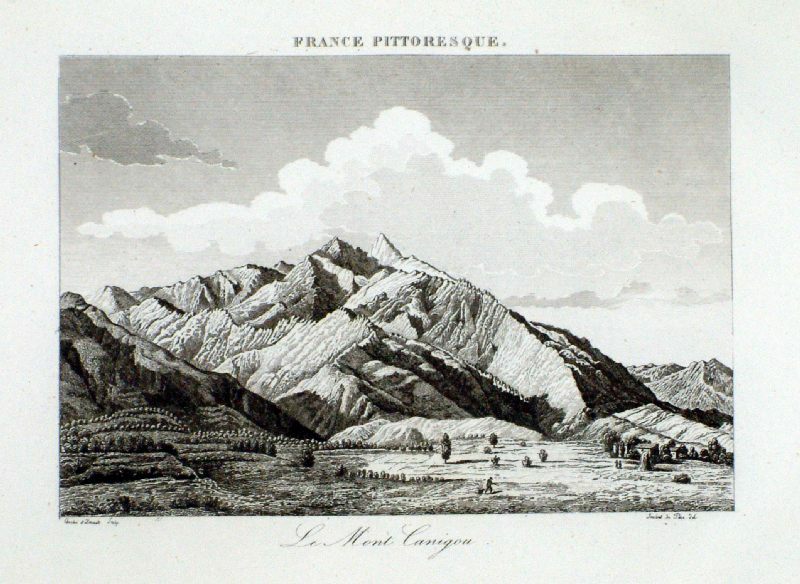 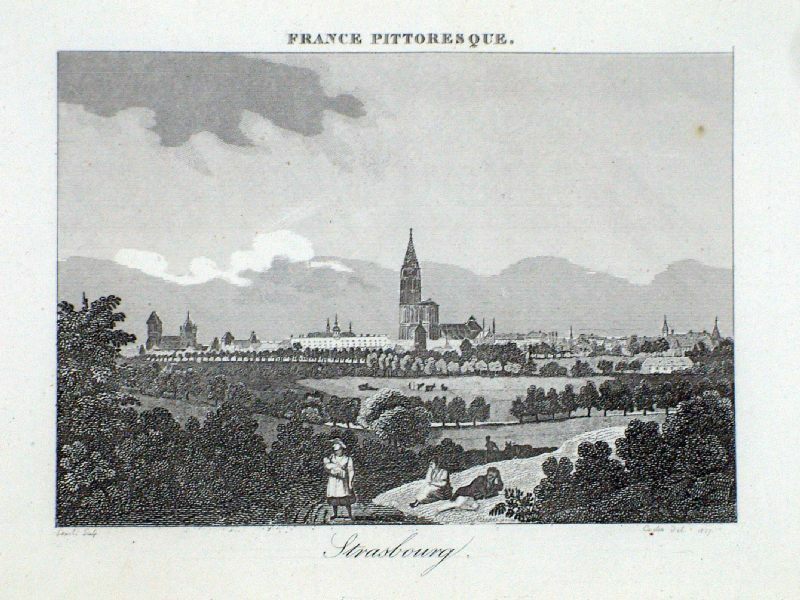 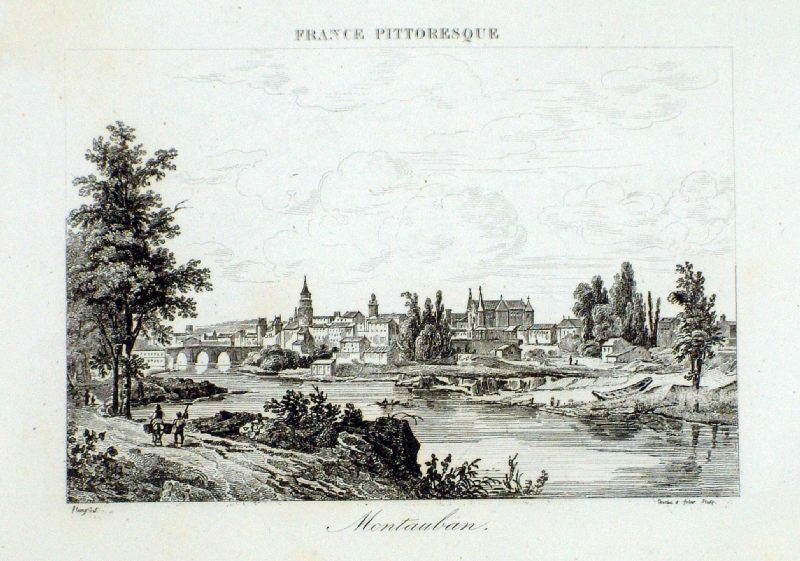 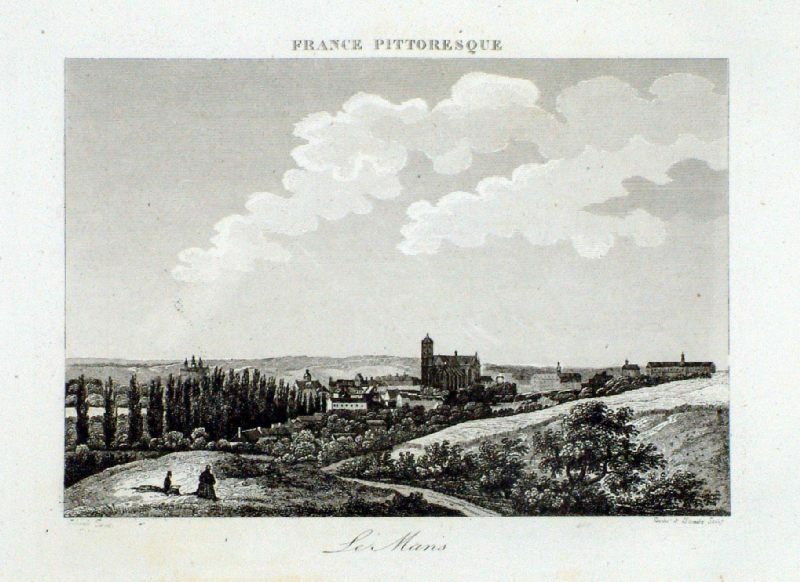 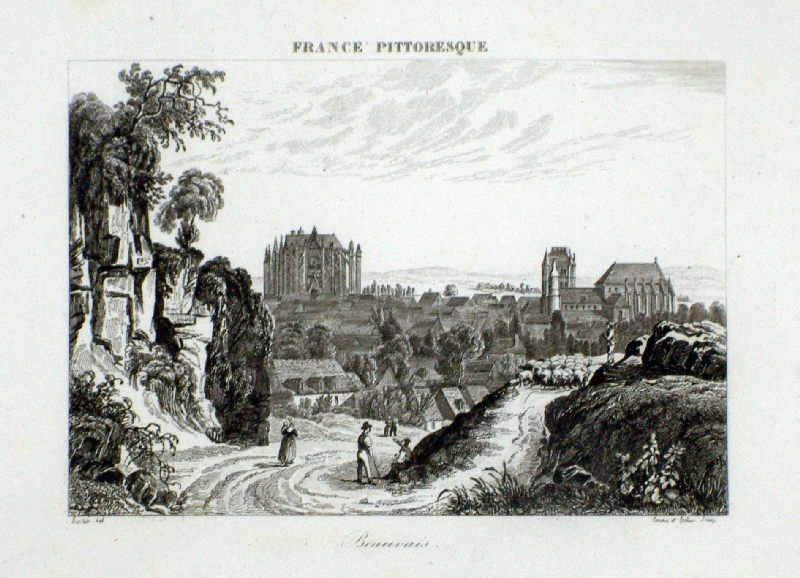 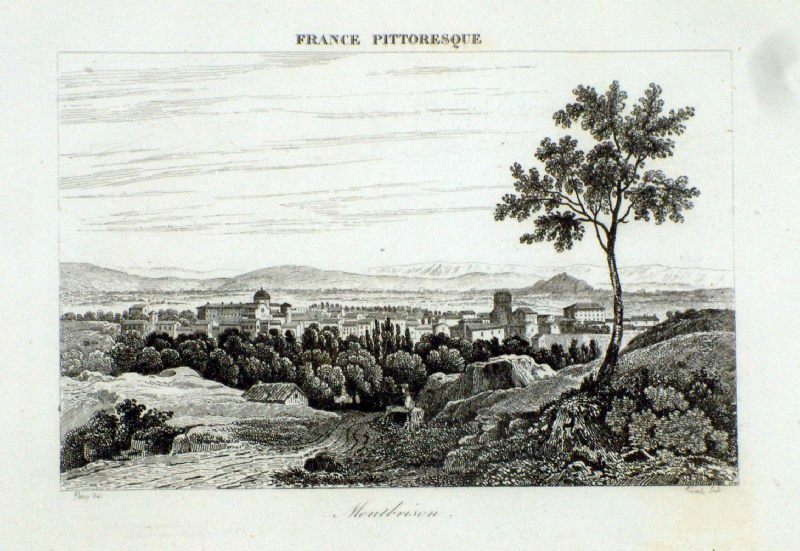 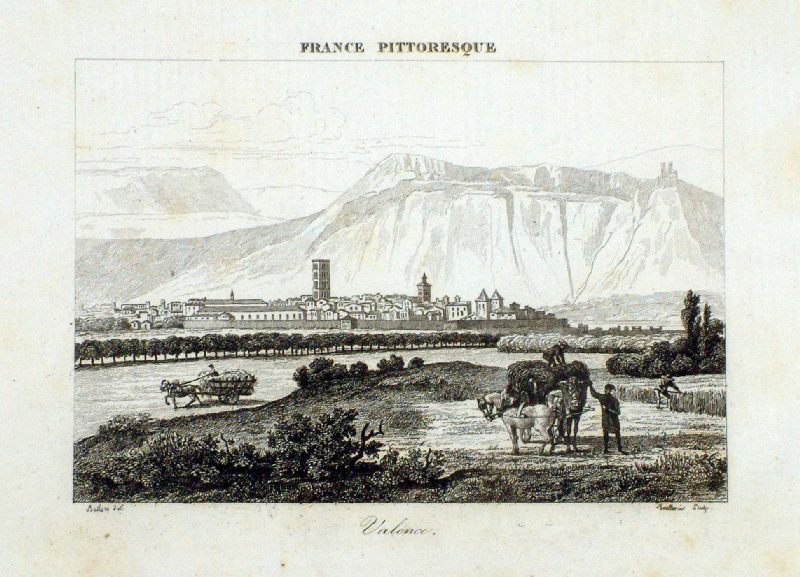 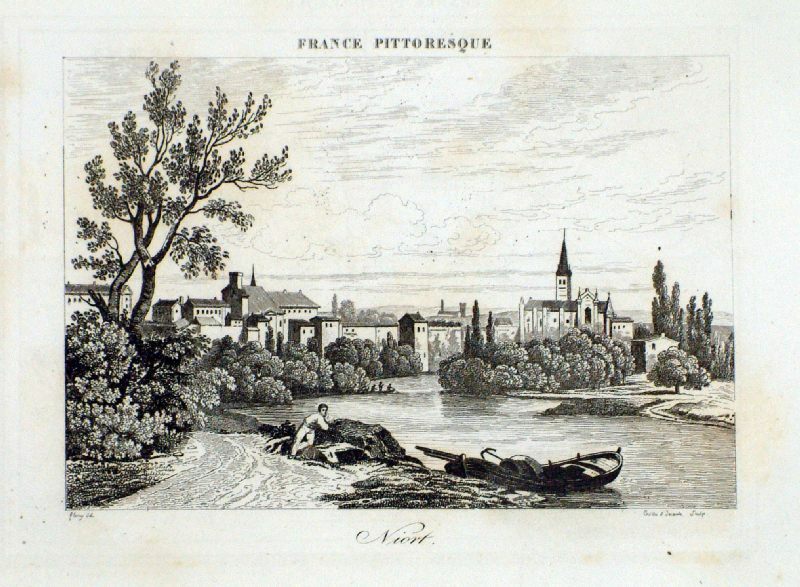 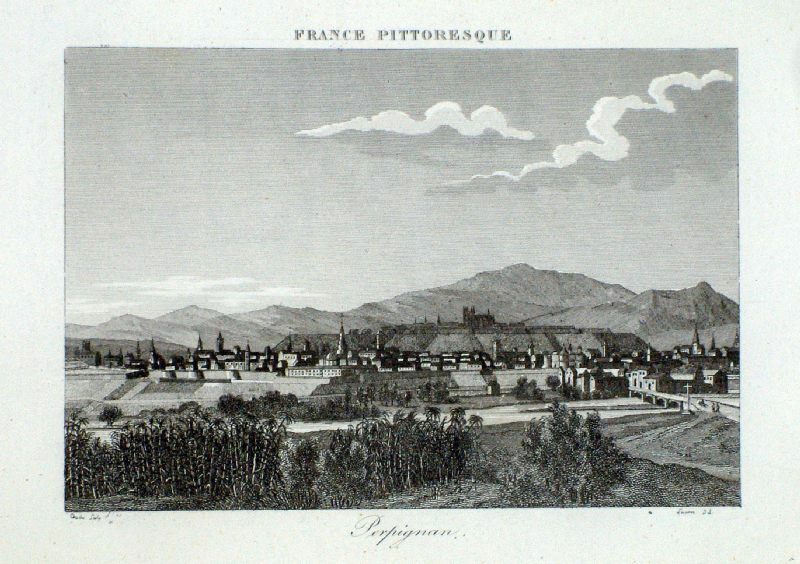 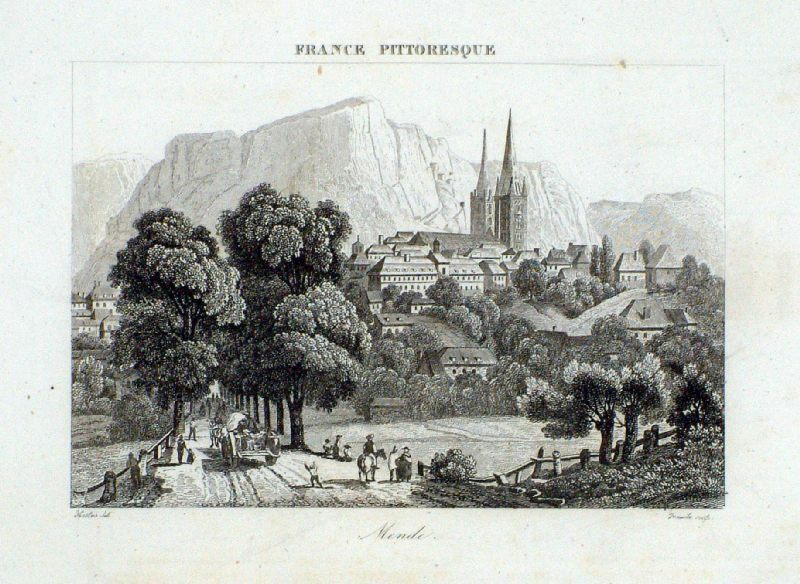 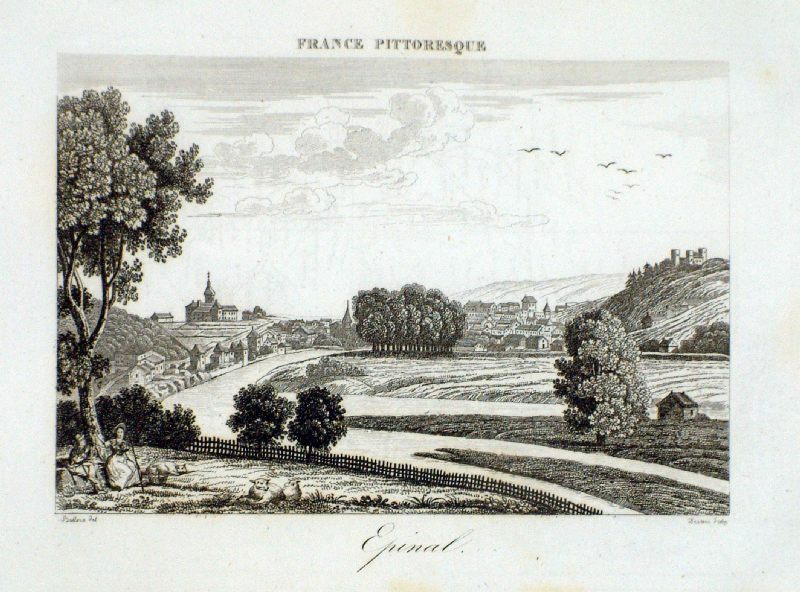 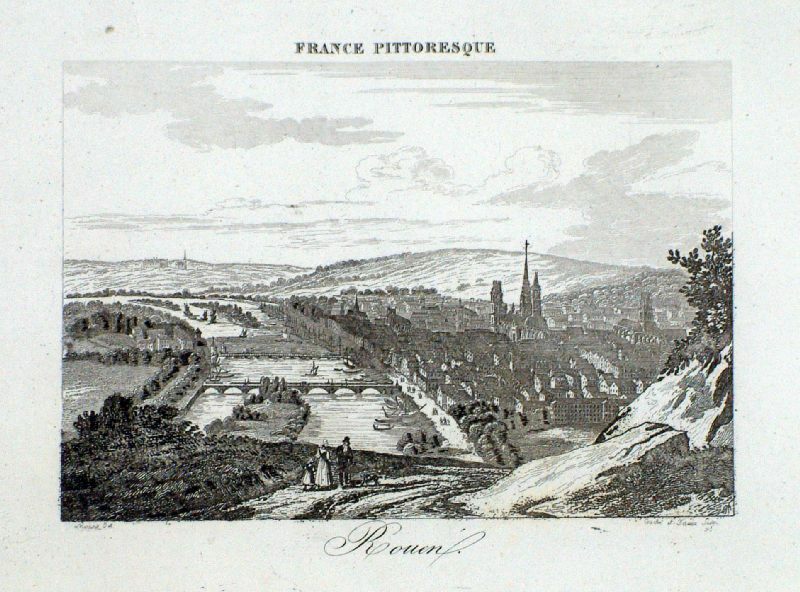 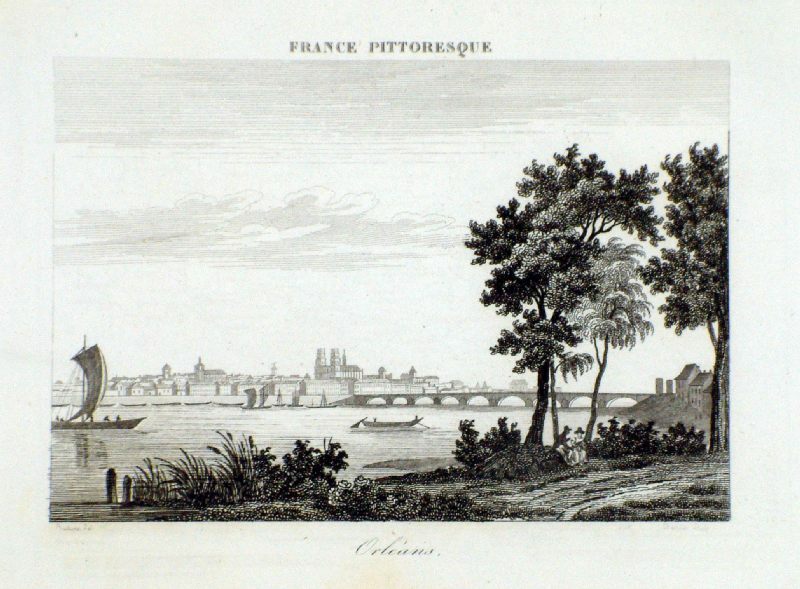 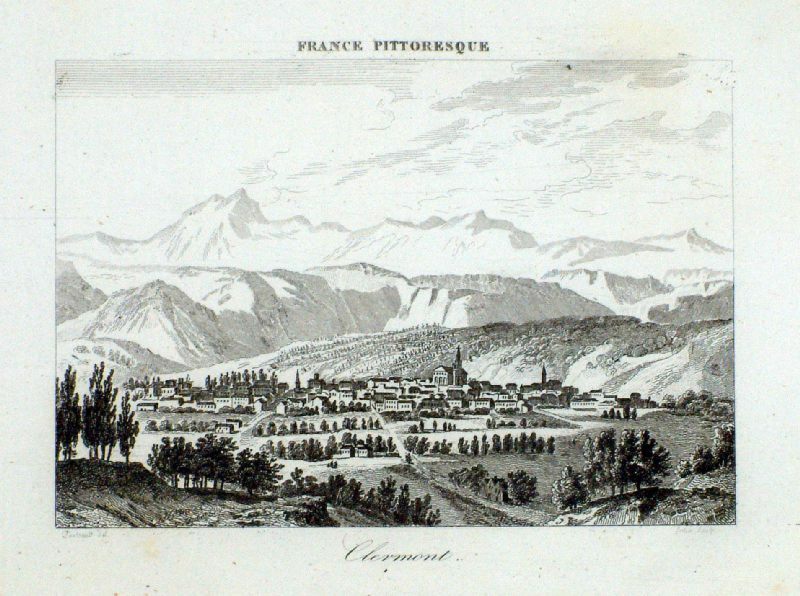 Paris from Mont Martre Fittler 1809 Copper Engraving.